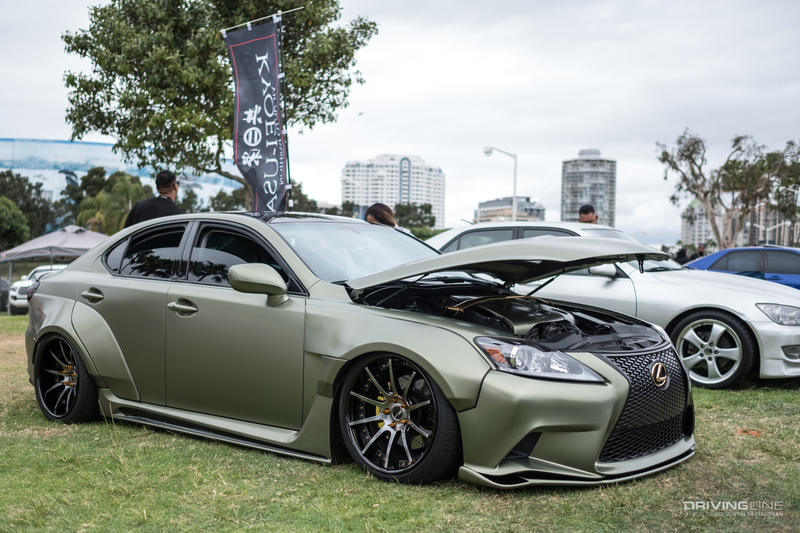 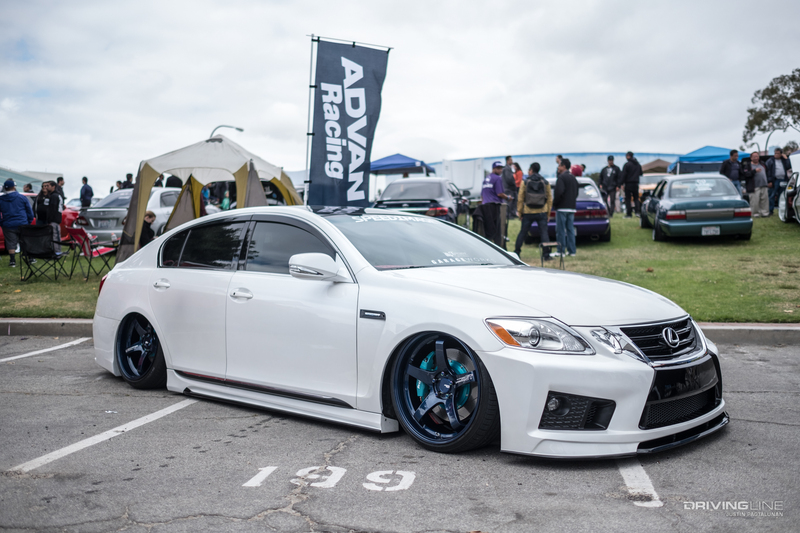 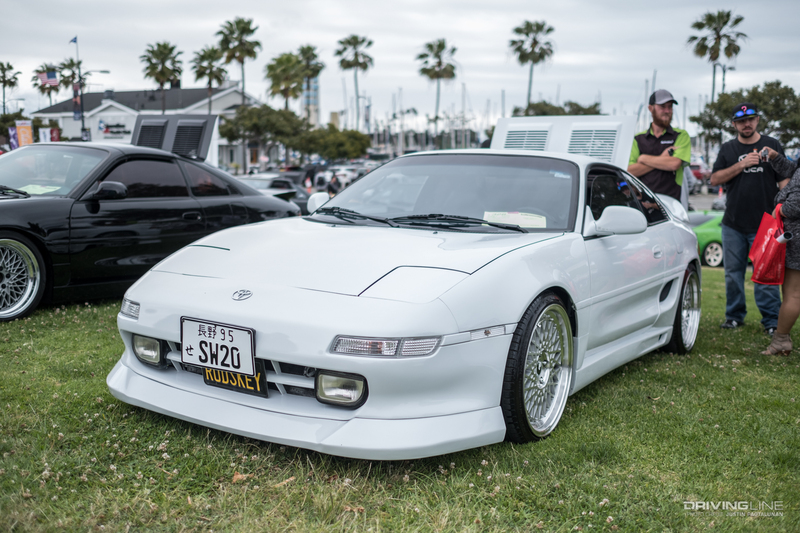 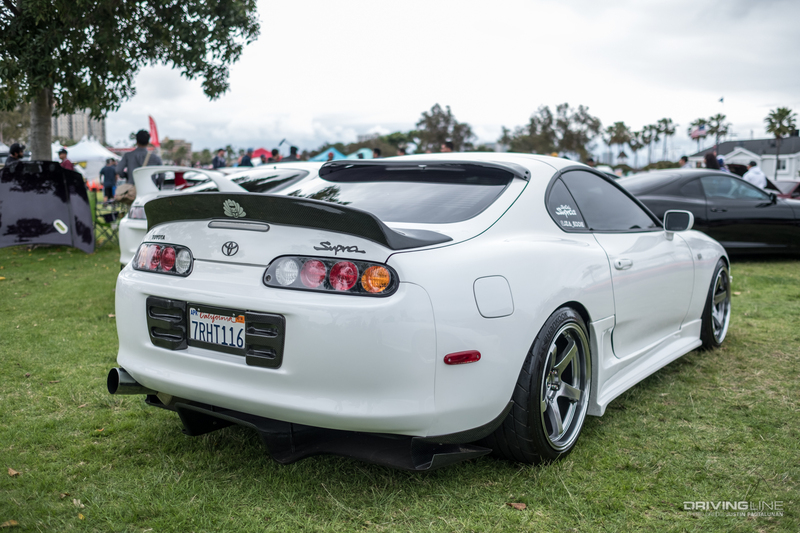 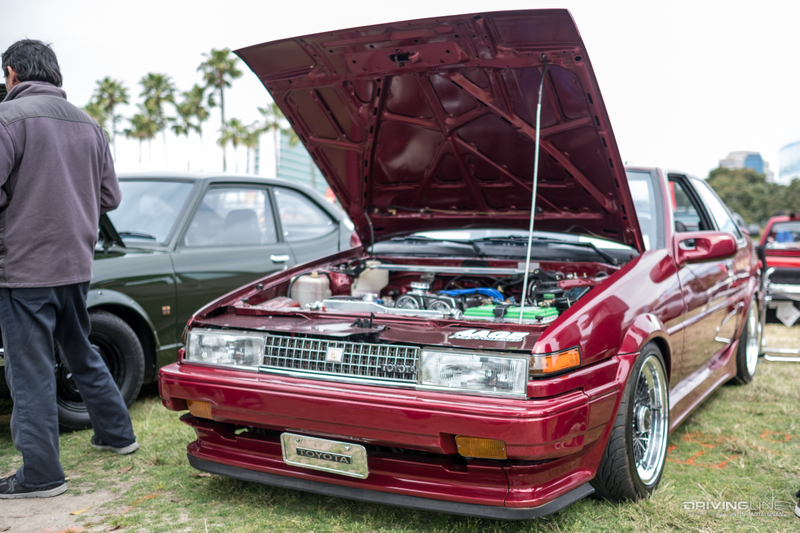 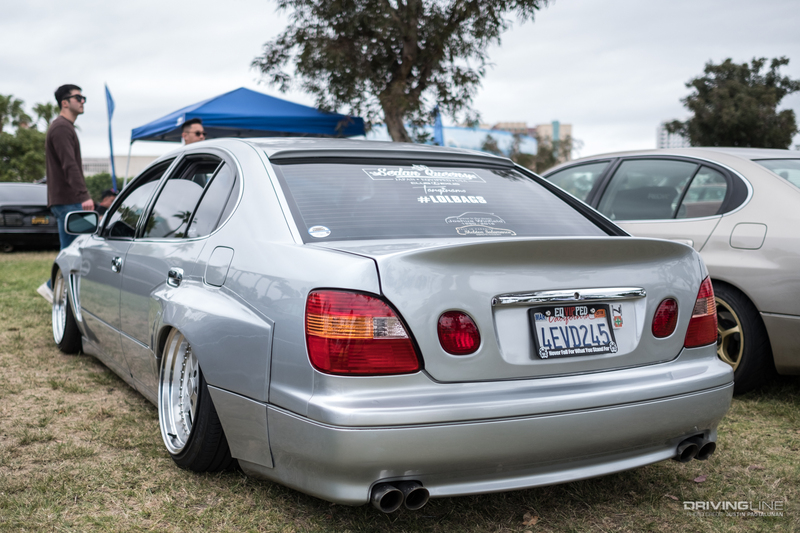 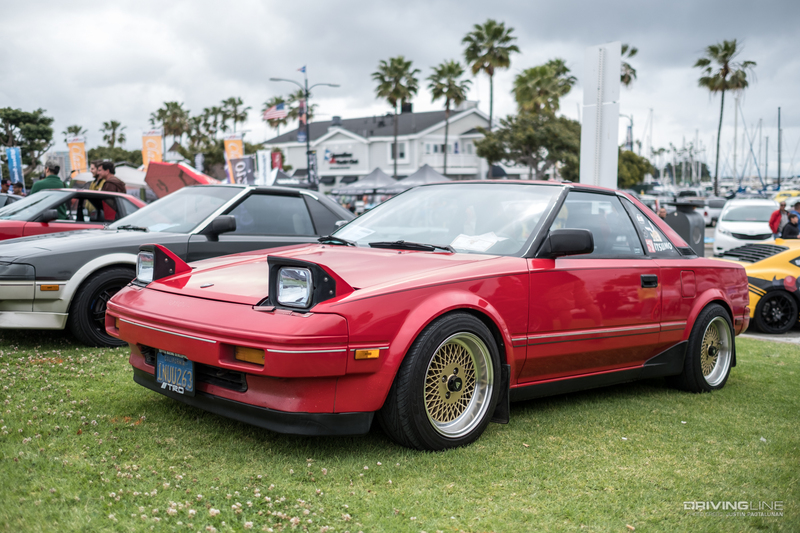 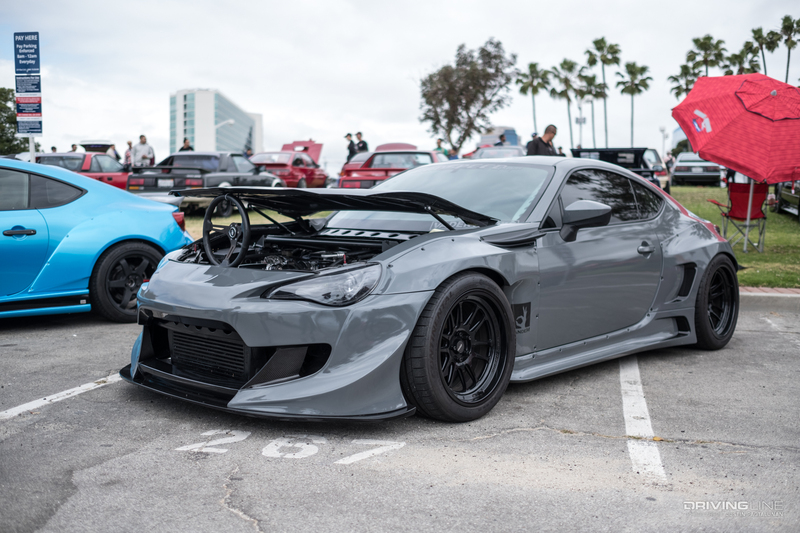 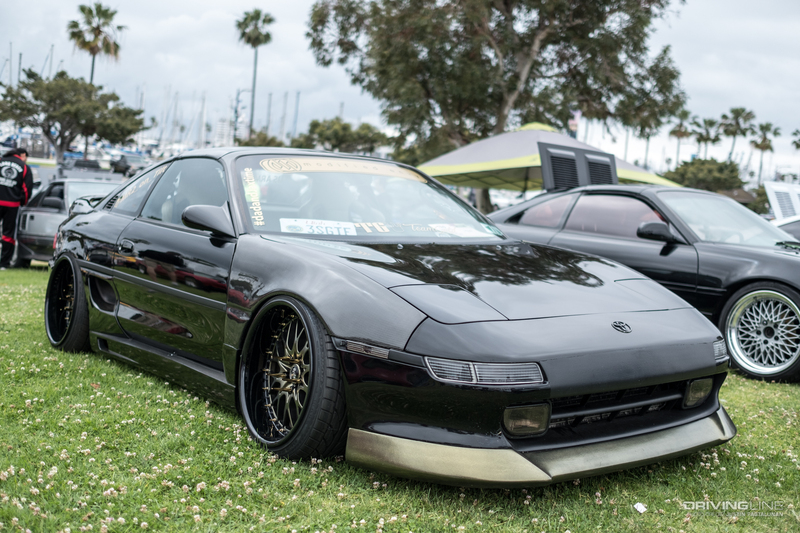 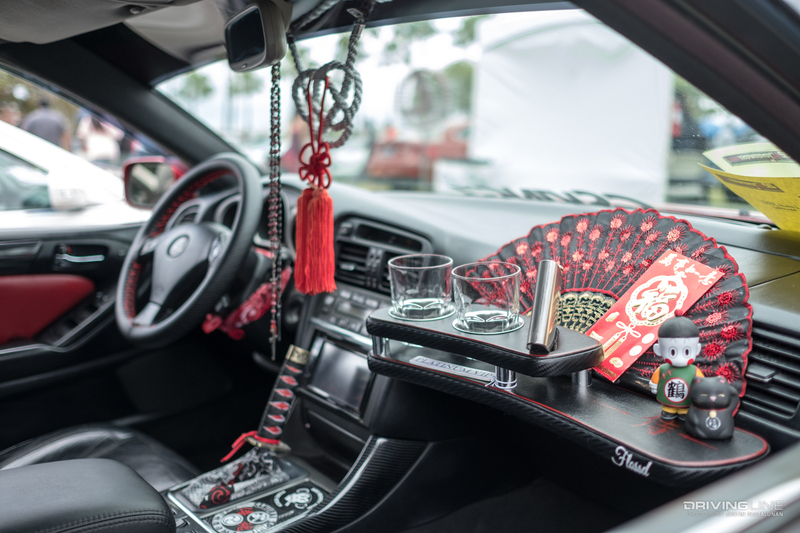 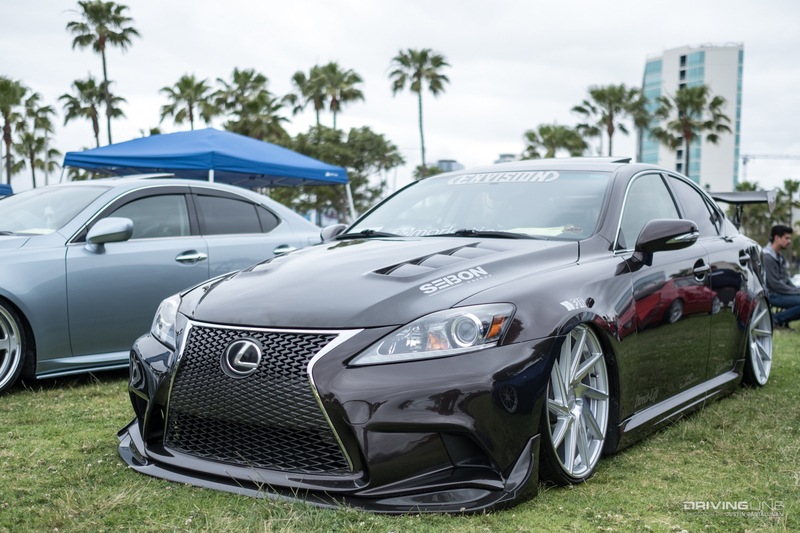 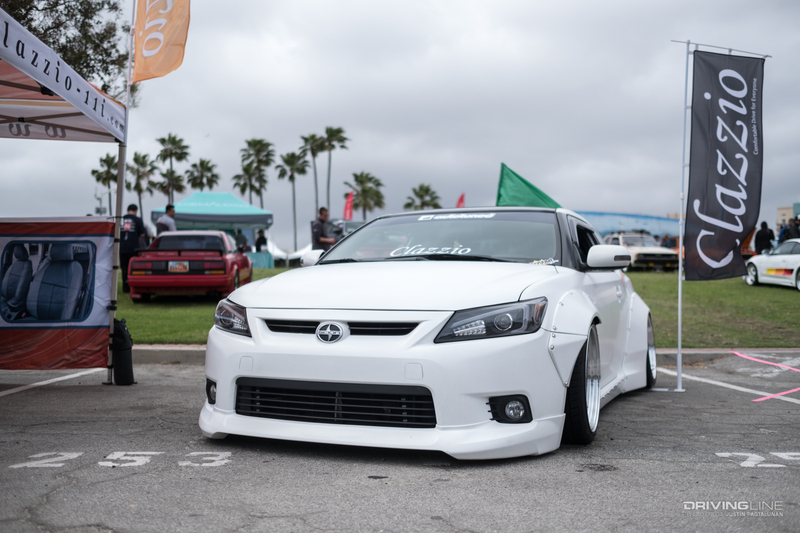 For as long as I can remember, the annual All Toyotafest has been held at the Queen Mary Events Park in Long Beach, California. 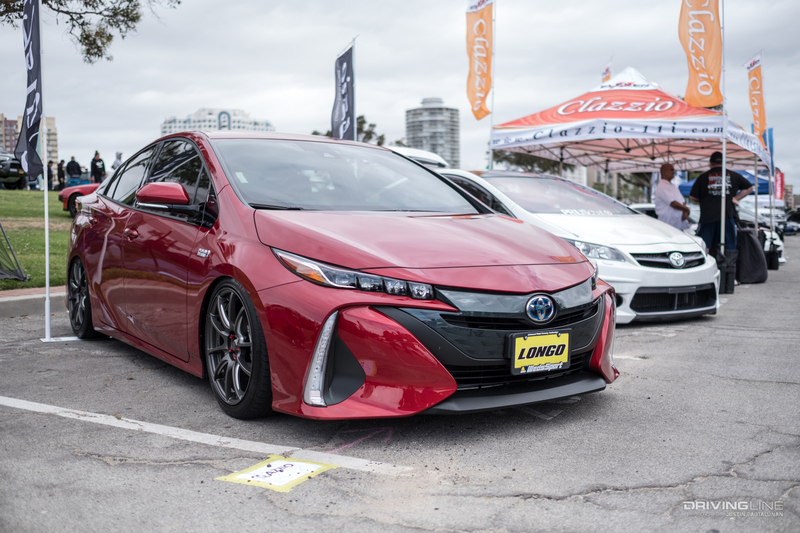 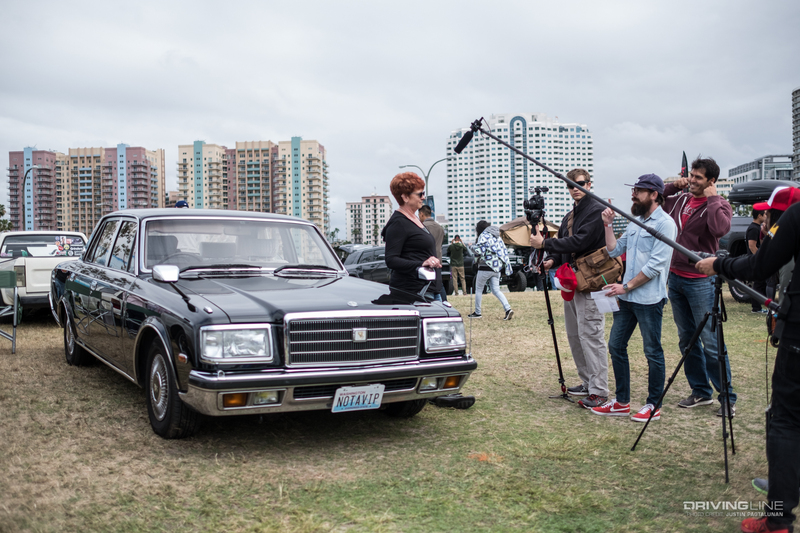 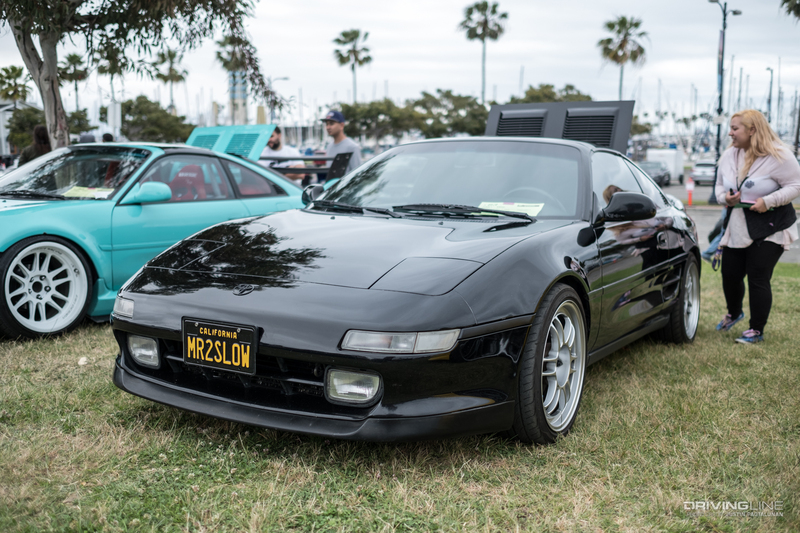 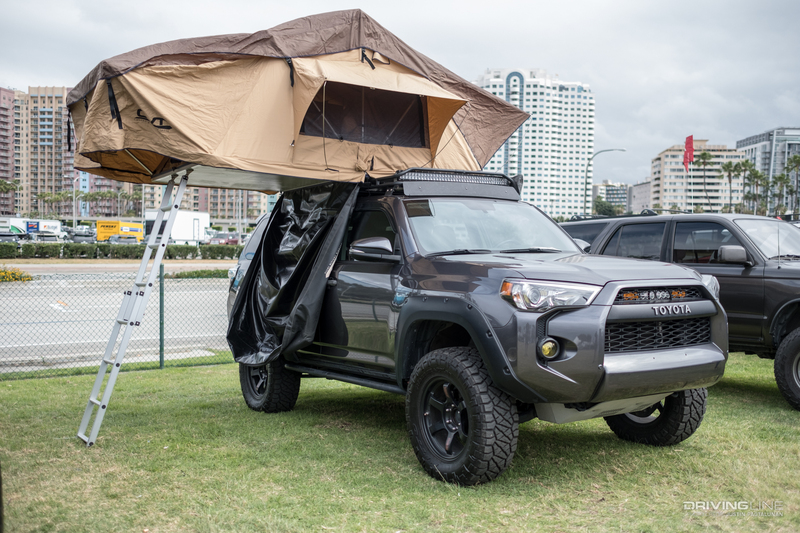 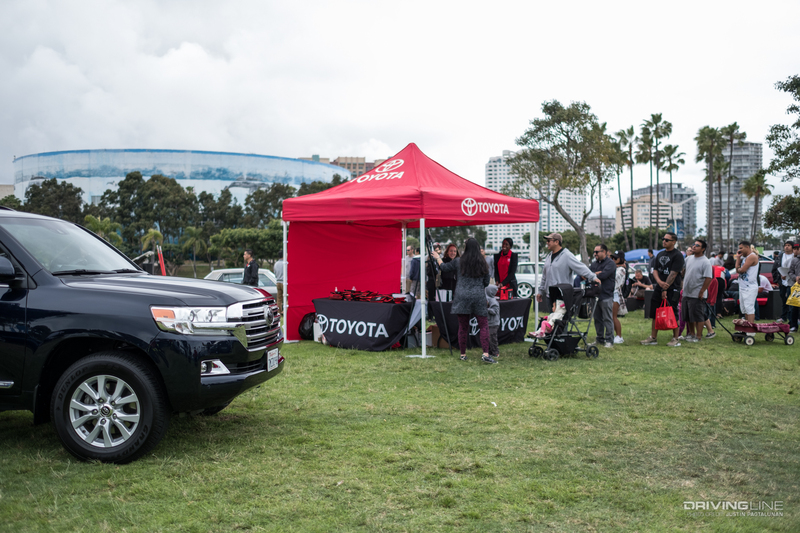 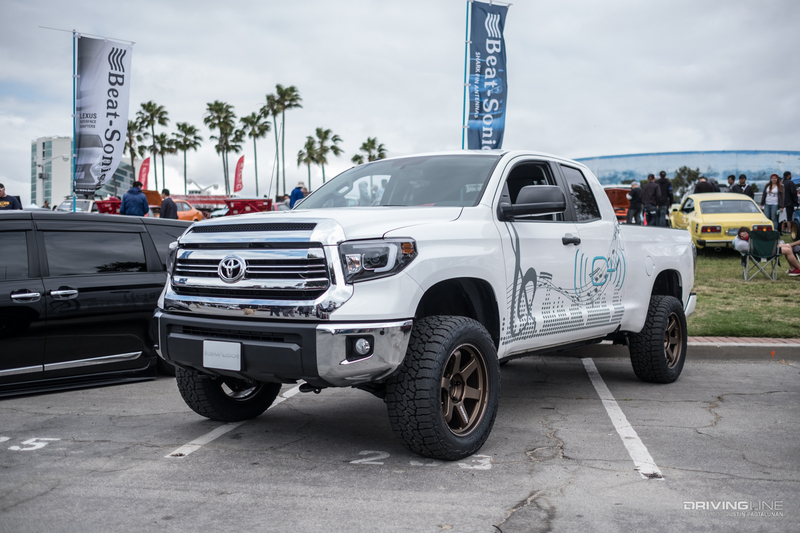 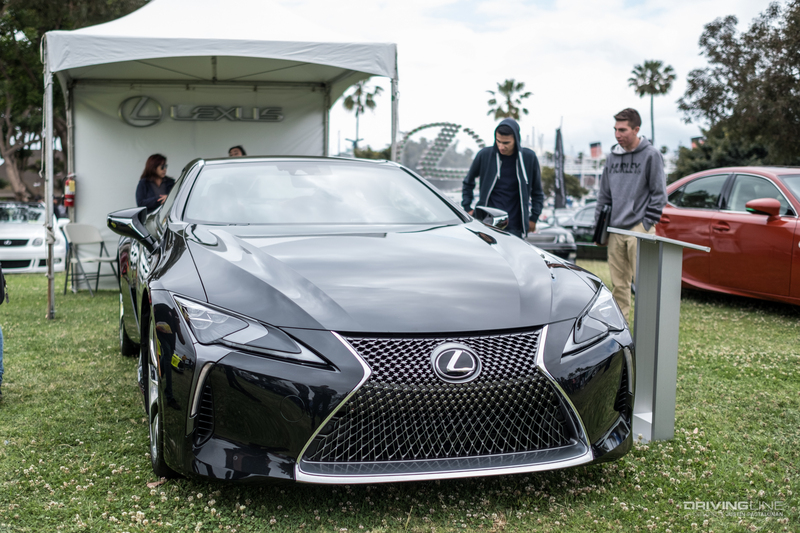 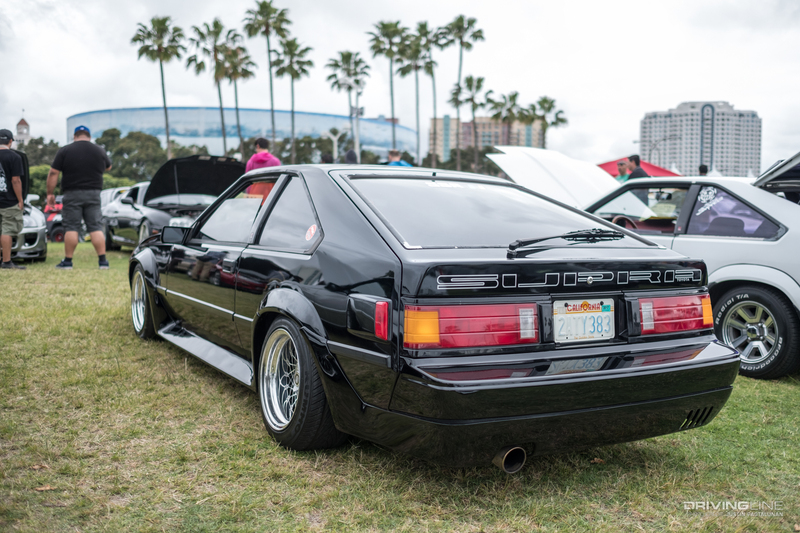 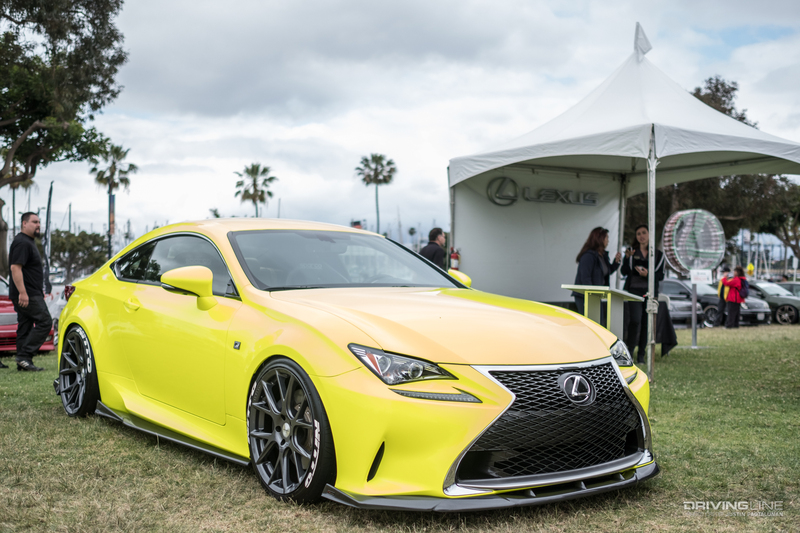 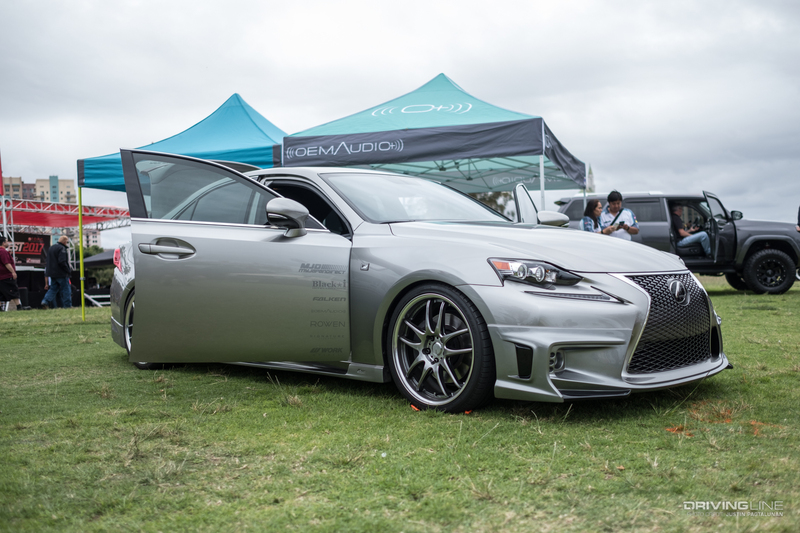 This year, Toyota fanatics found themselves on the other side of the boat, at the Marina Green Park. 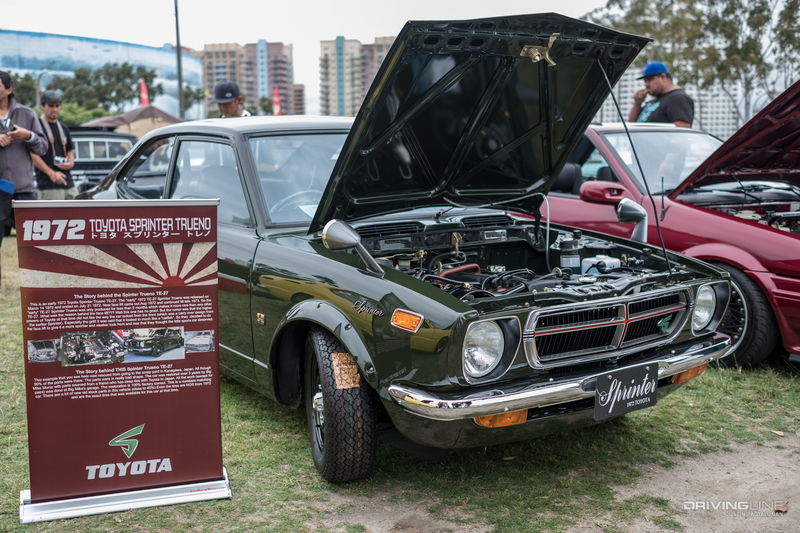 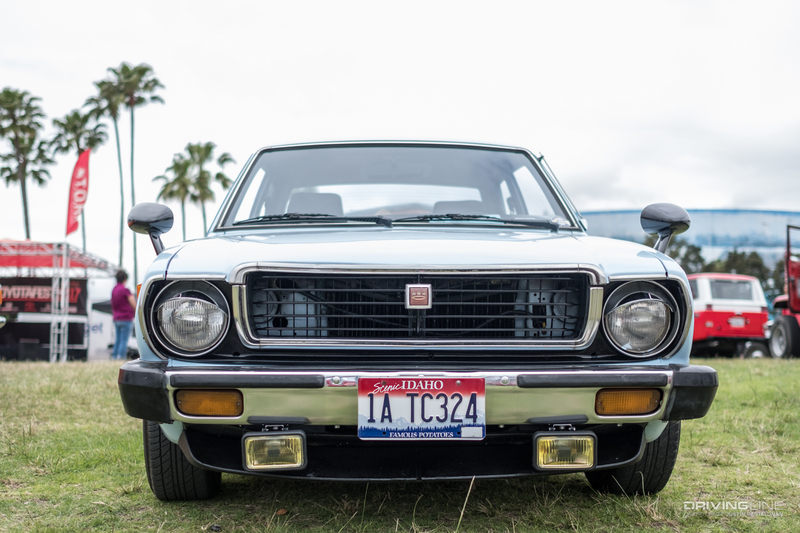 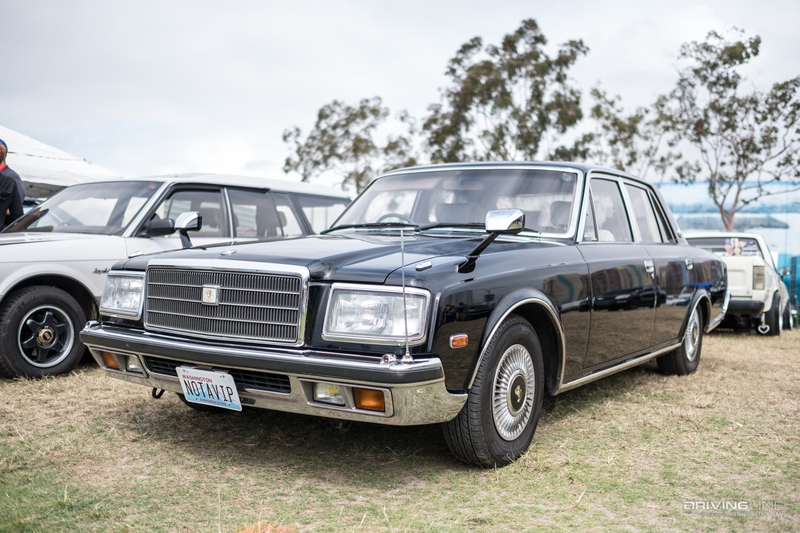 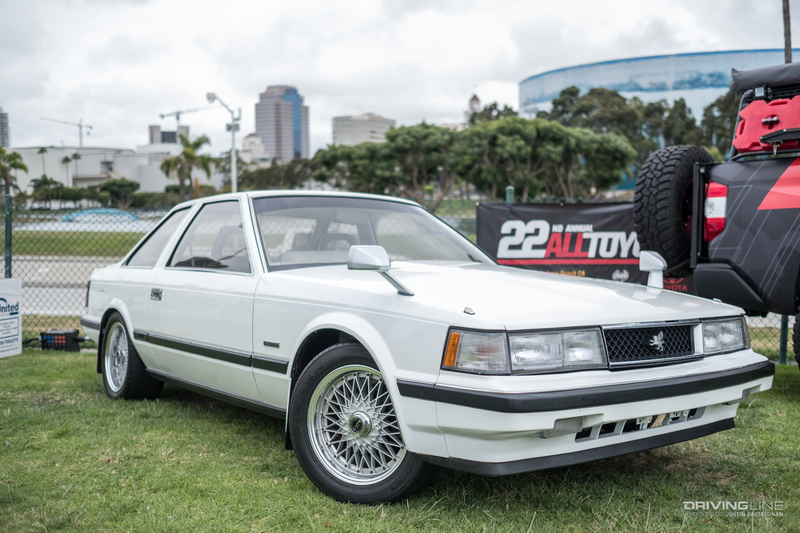 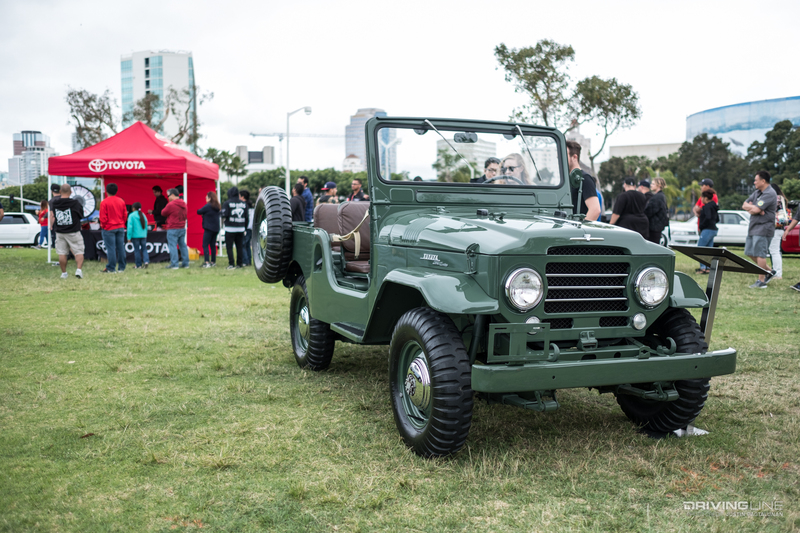 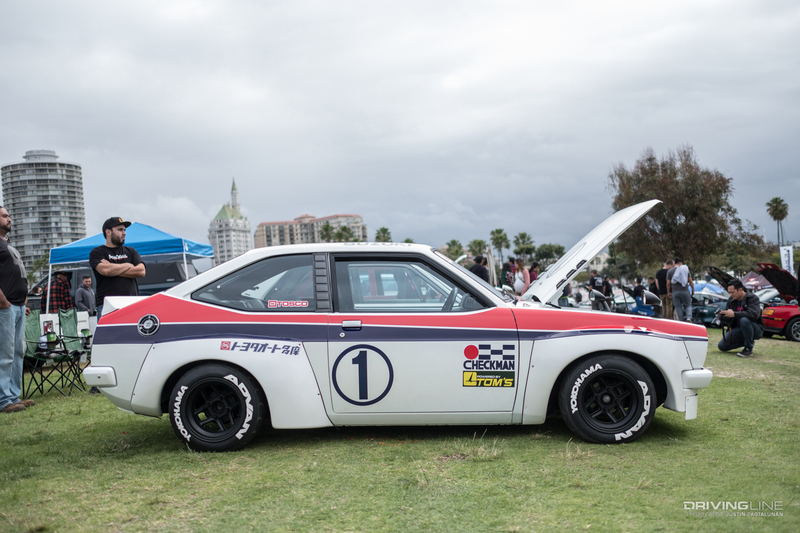 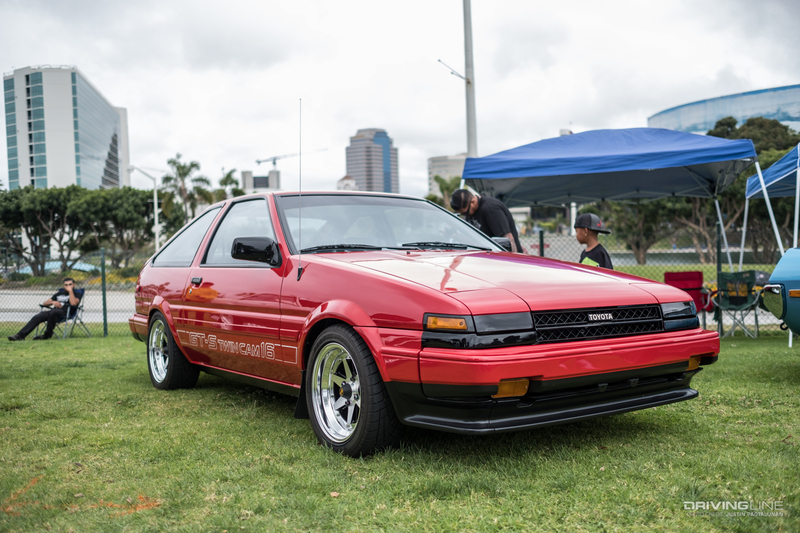 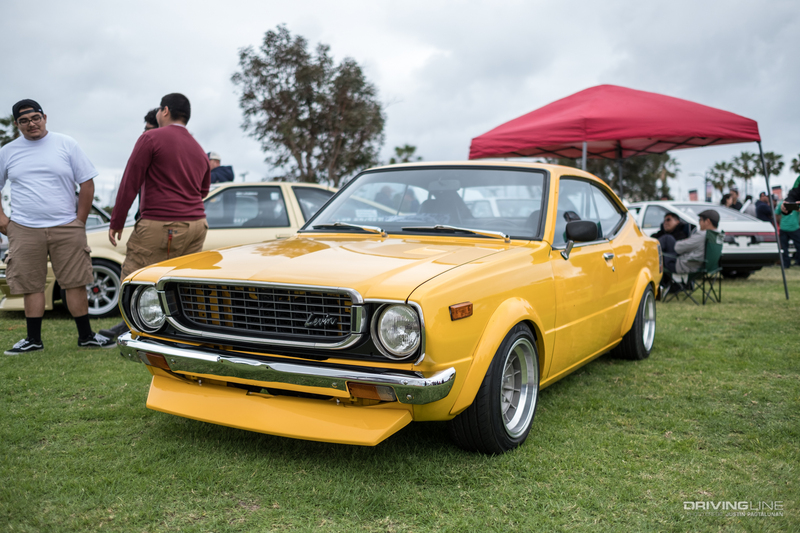 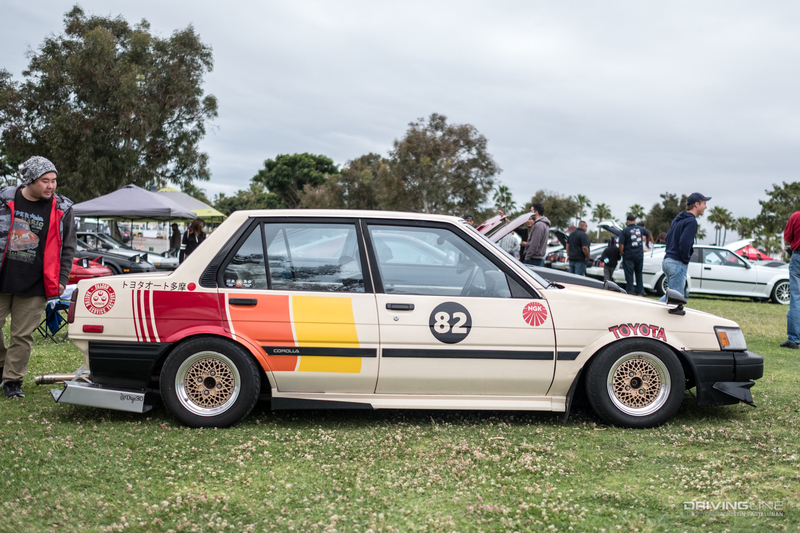 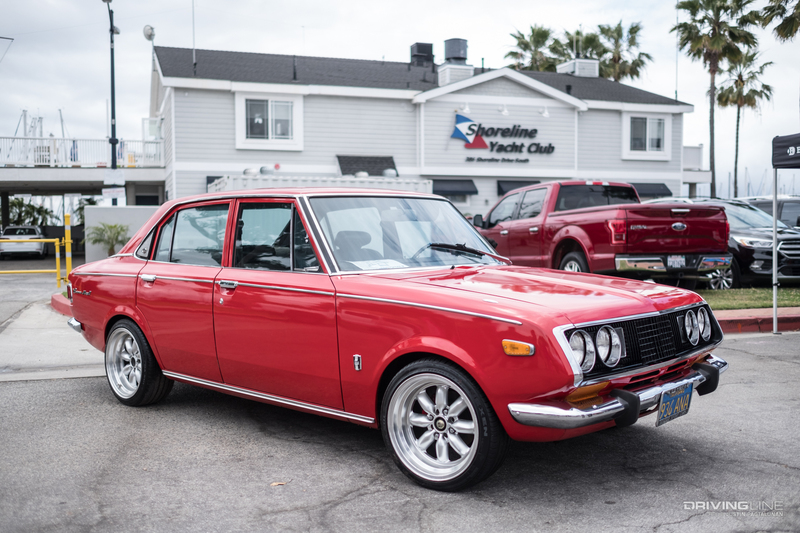 The new venue allowed for more cars — over 400 Toyotas, Lexus and Scions all gathered for the ultimate representation of Toyota heritage. 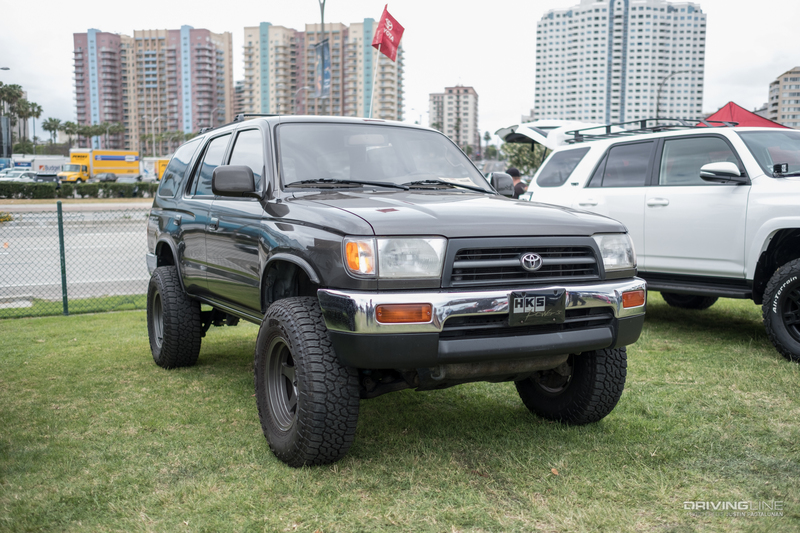 The grass is greener on this side, and the Aquarium of the Pacific is closer, but there were familiar signs that reminded you that this was still the same Toyotafest we all know and love. 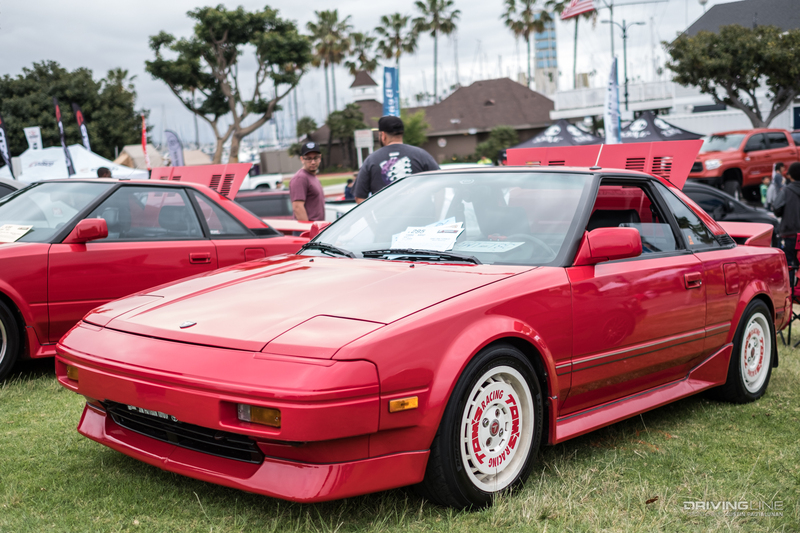 Red T.O.R.C. 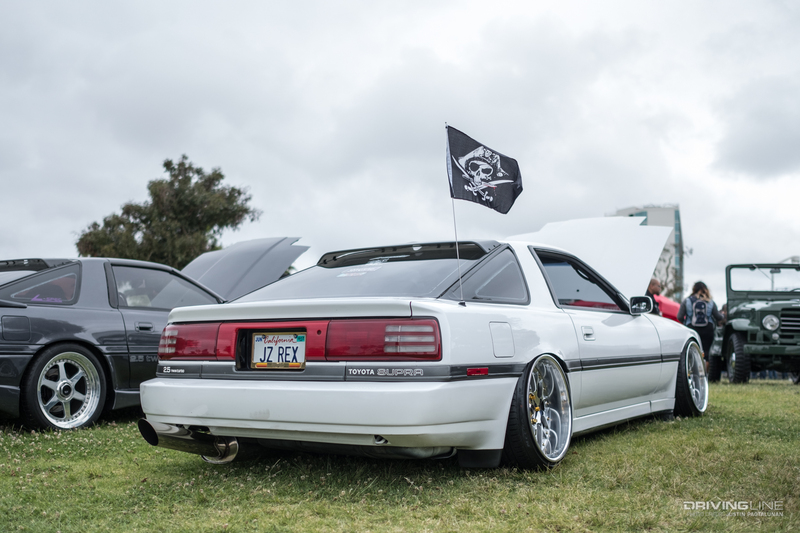 flags flap in the wind. 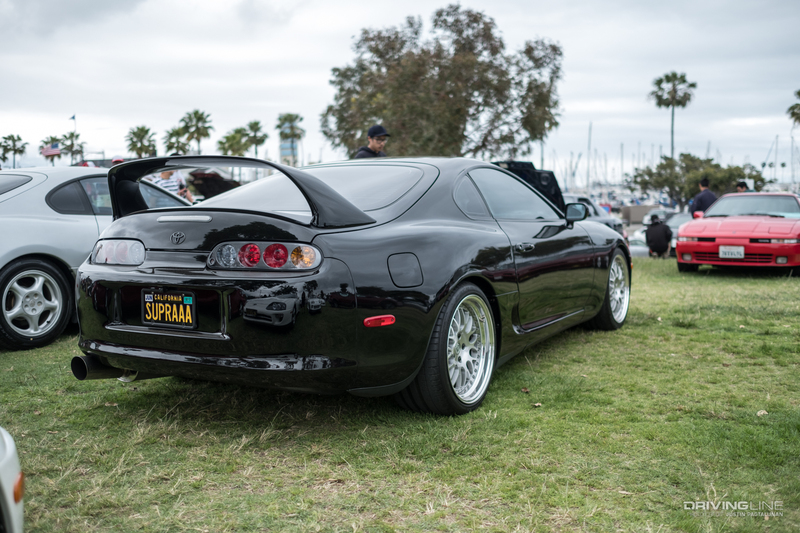 Probably the most obvious, but definitely the most recognizable. 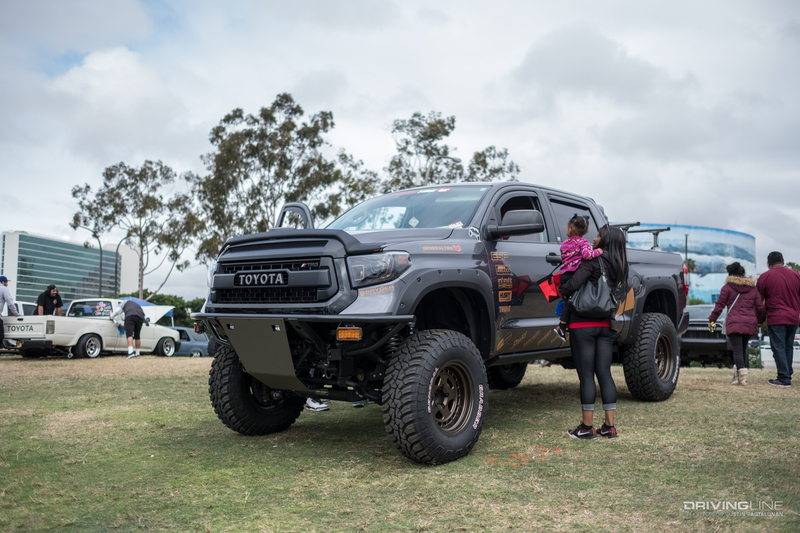 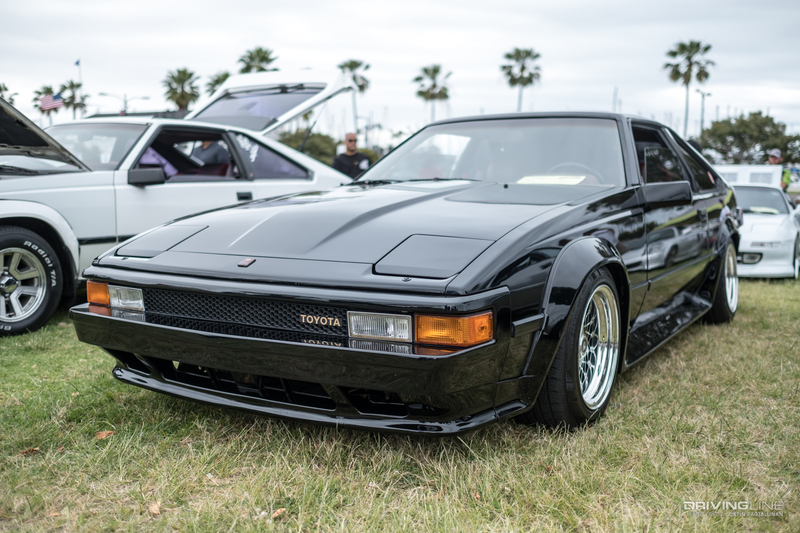 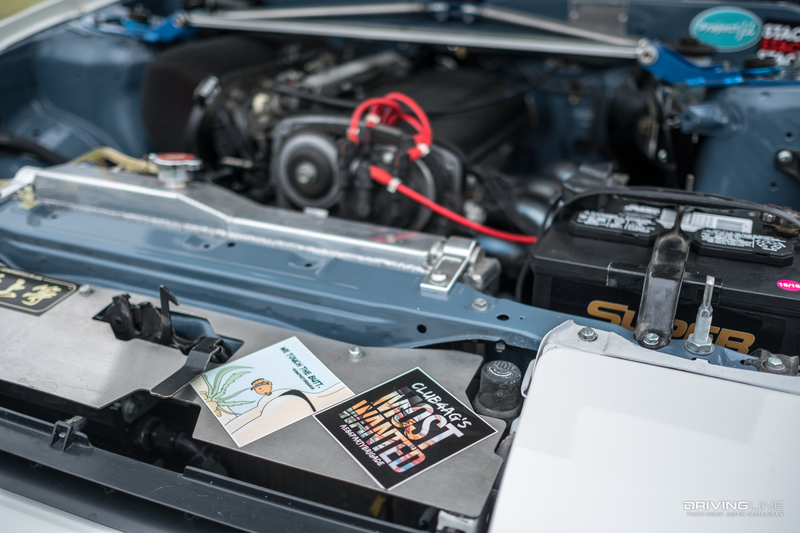 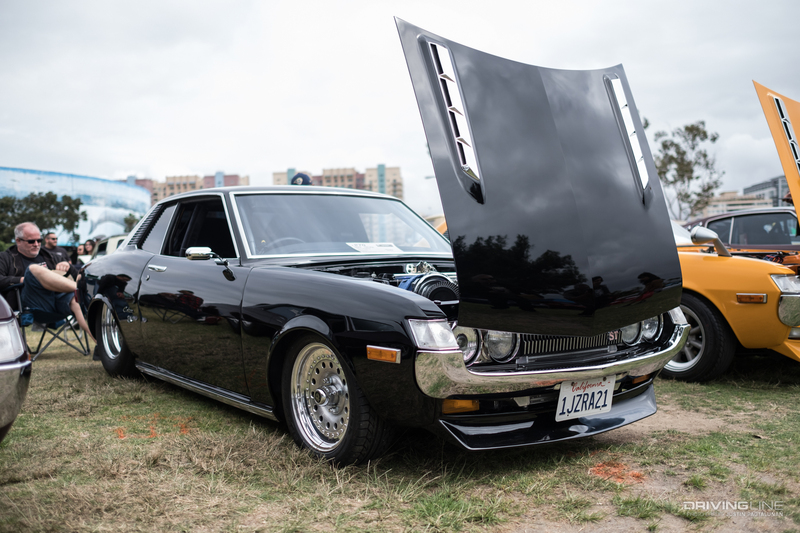 Toyota Owners and Restoration Club, or T.O.R.C., has been around for 22 years now, so it's clear that they know a thing or two about car show organization. 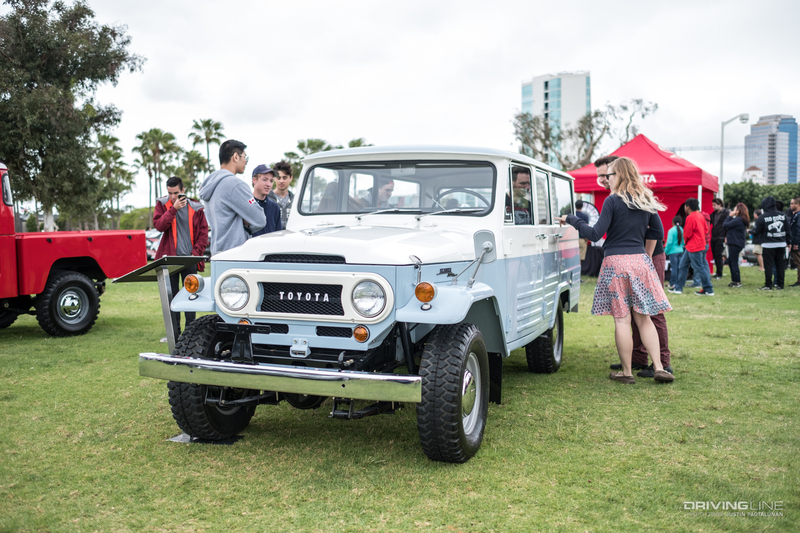 Whether you're a spectator, volunteer, participant or judge — all you need to do is look up to locate which section of Toyota's heritage you are in. 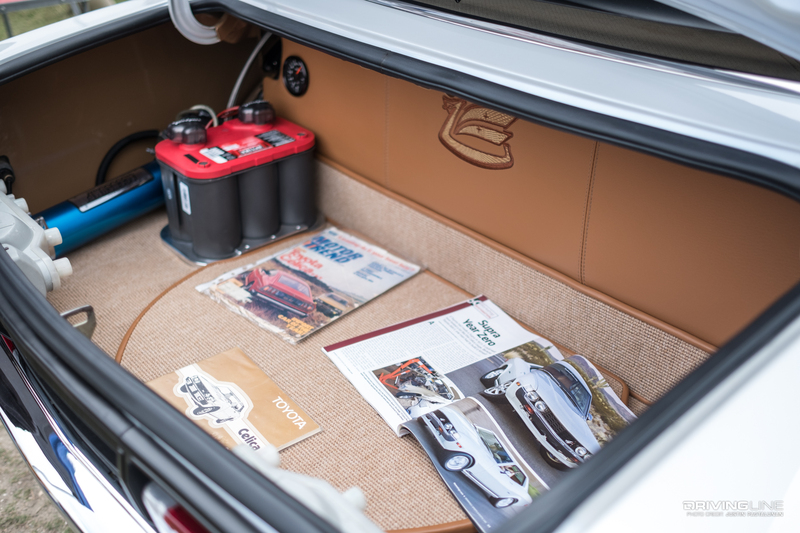 They open the Toyota vault. 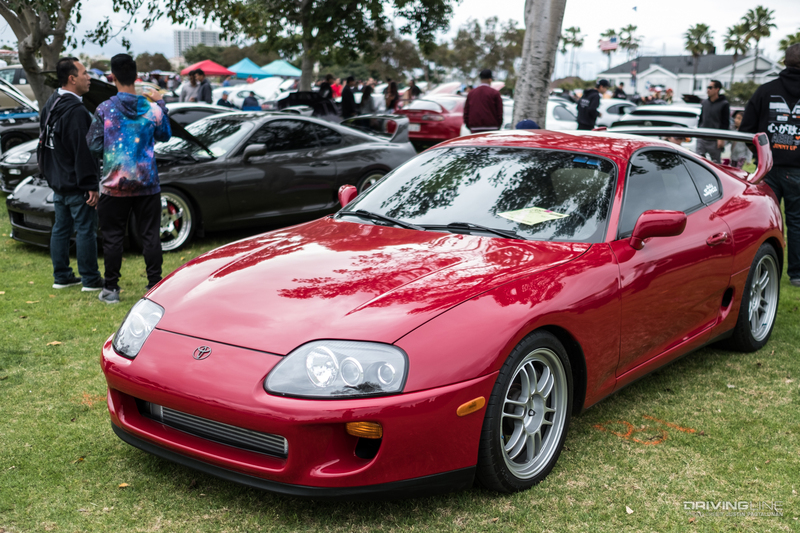 What's Toyotafest without Toyota making an appearance? 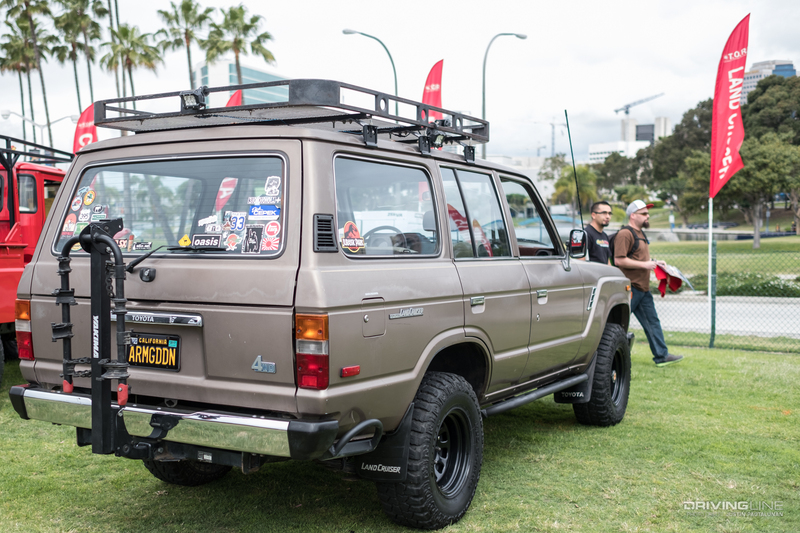 Their booth may be small, but their line is always long, filled with people either waiting for the cool Toyota swag or to see what vintage, pristine vehicle they pull out of the vault. 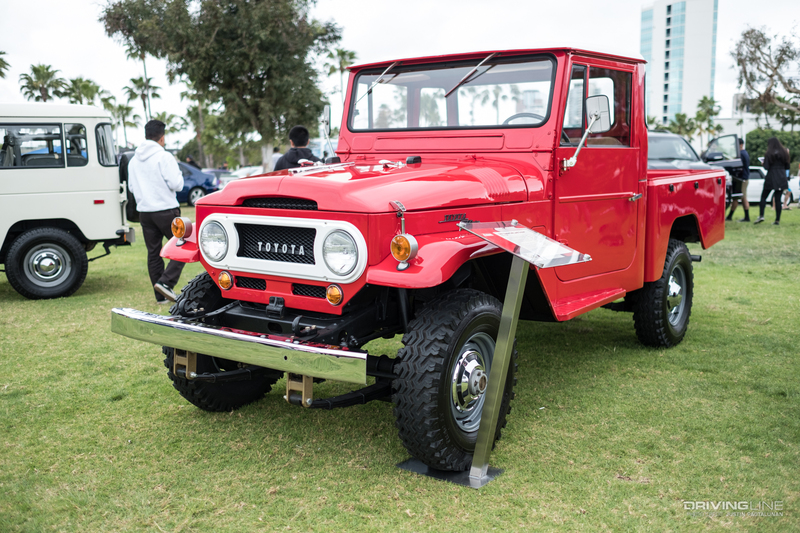 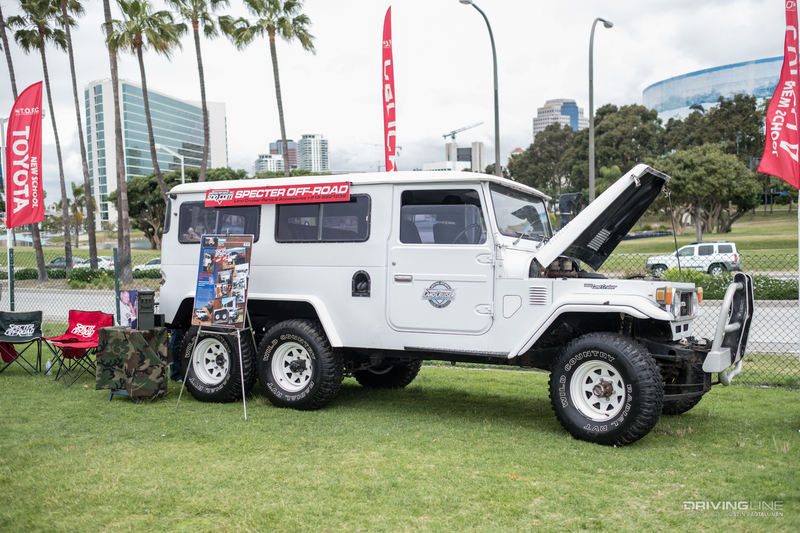 This year's theme was the classic Toyota Land Cruiser. 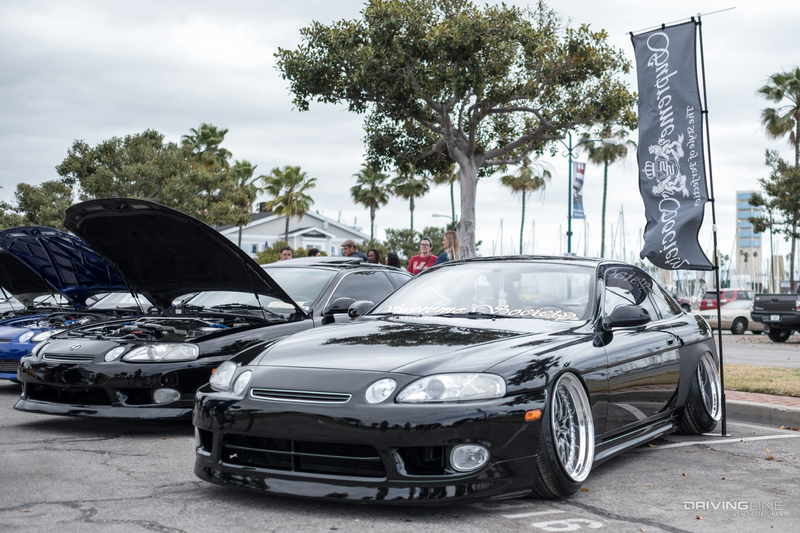 T.O.R.C. 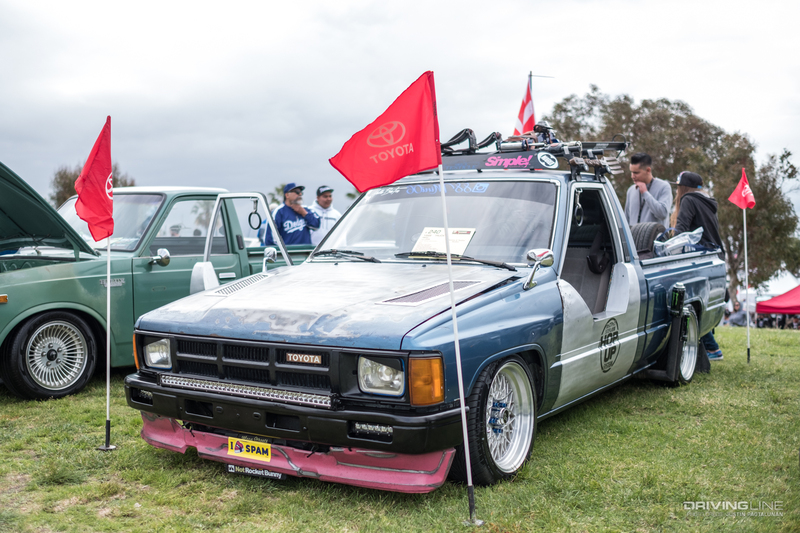 and Toyota have built a reputation for them year in and year out with this show, and it wouldn't be without the help of various sponsors sharing what they have to offer for fellow Toyota enthusiasts, or even to show off their own Toyota demo vehicles. 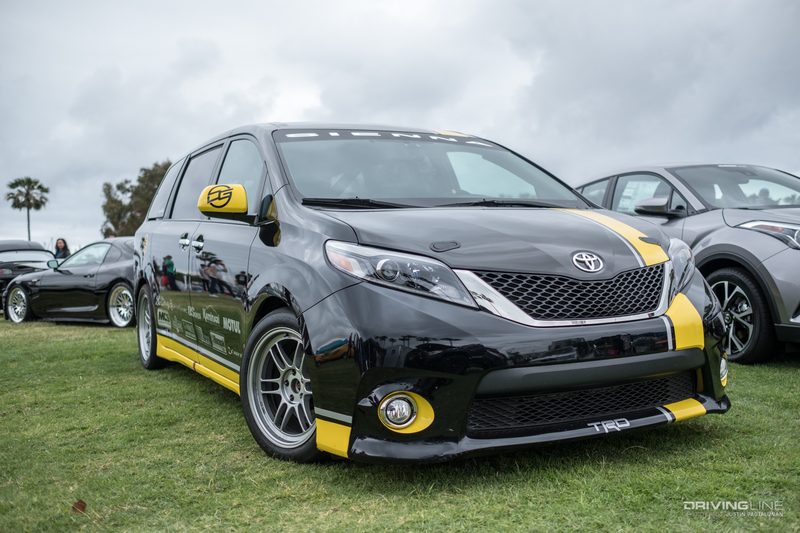 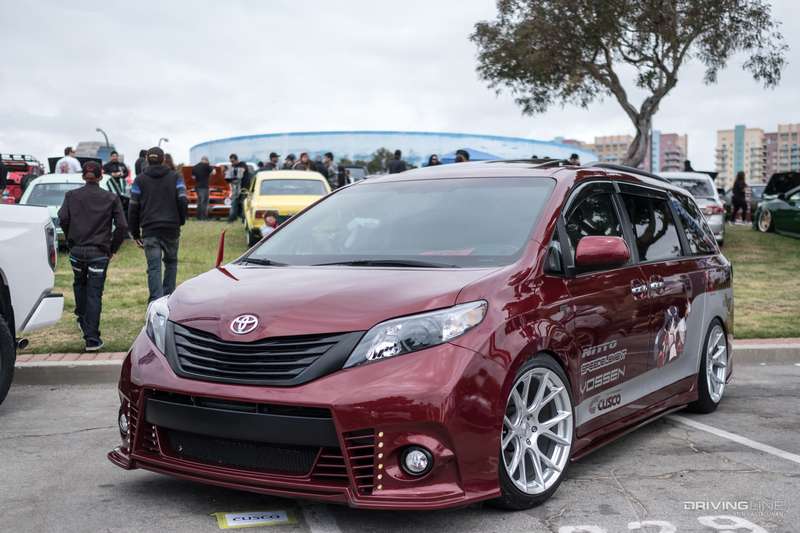 Right in front of long-time sponsor, Cabe Toyota, was the Swagger Wagon, the coolest Toyota Sienna around. 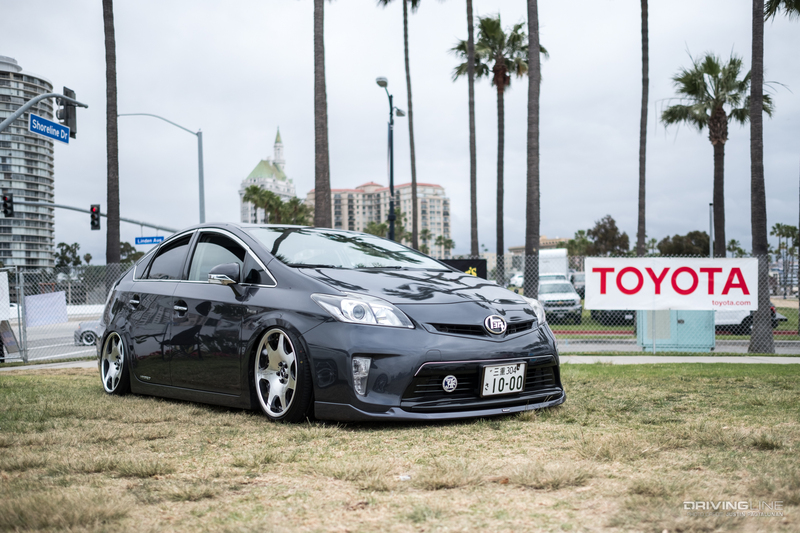 Representing Toyota, Scion and Lexus was OEM Audio+ giving out demos for all ears ready to listen. 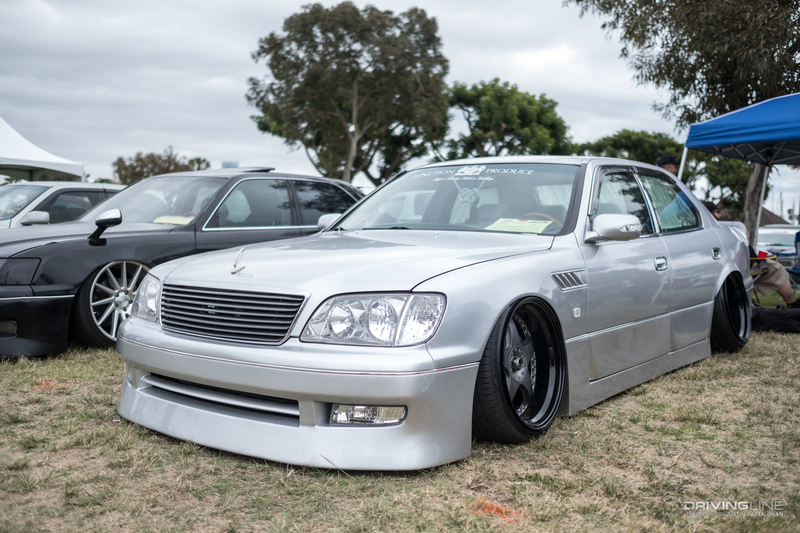 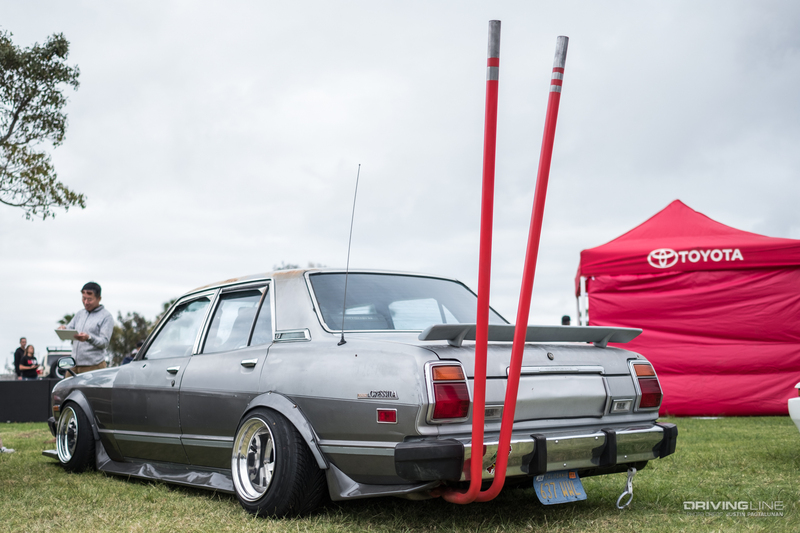 Style points at Toyotafest aren't always measured by the longest modification sheet. 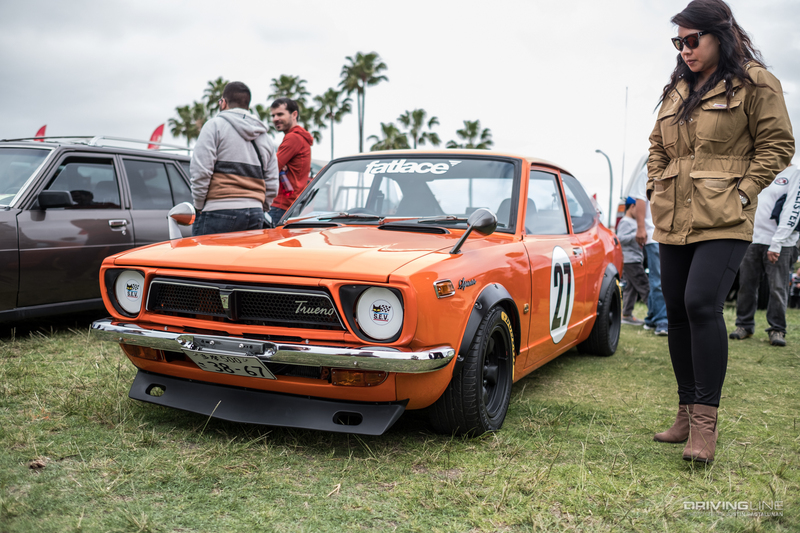 When people bring out Toyotas from the '70s or even '60s, the most impressive thing about them is their original parts, and the documents to prove them, just like the original tire stickers on this '72 Sprinter Trueno! 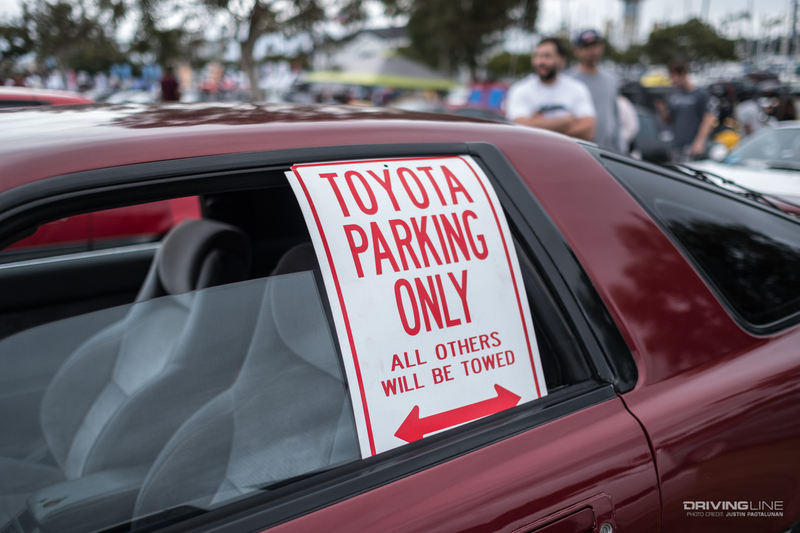 ...to sticker prices. 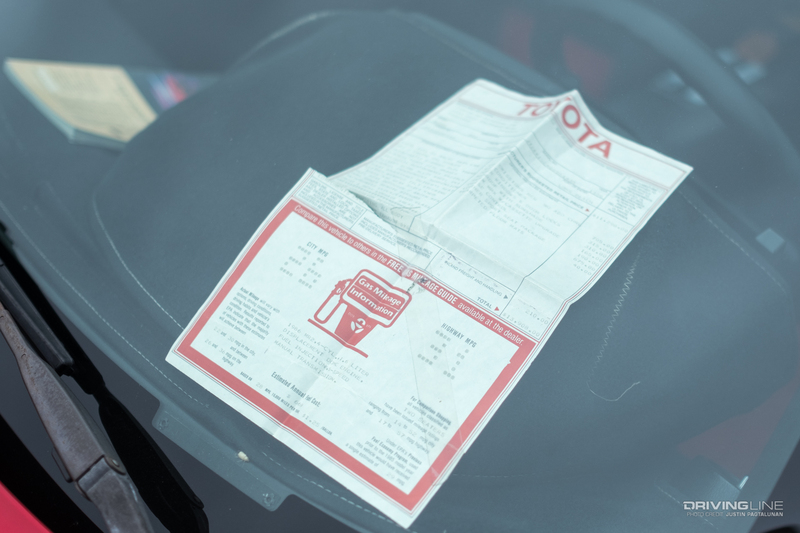 Original documents were on display like badges of honor. 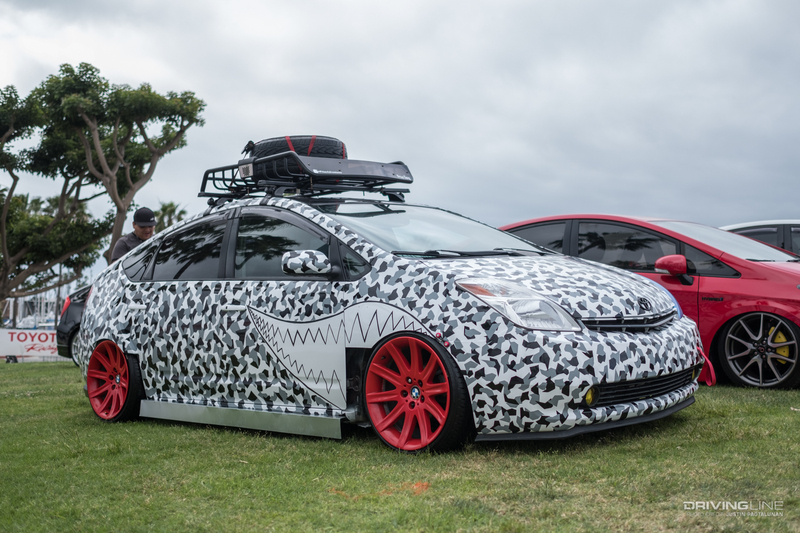 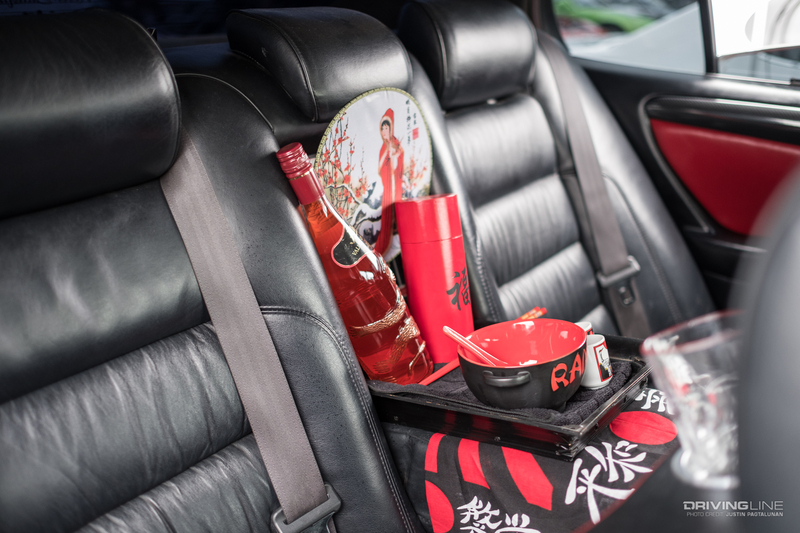 Everywhere you look, no one is shy about sharing their love for Toyota. 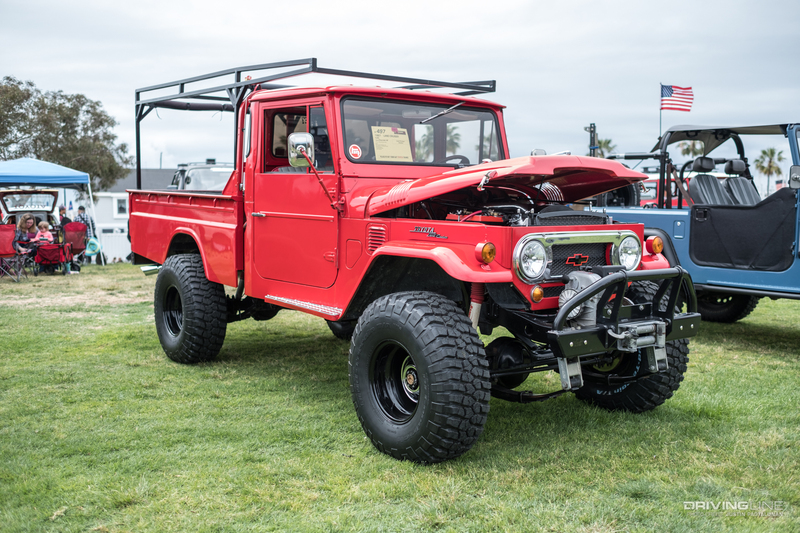 There are no generation gaps. 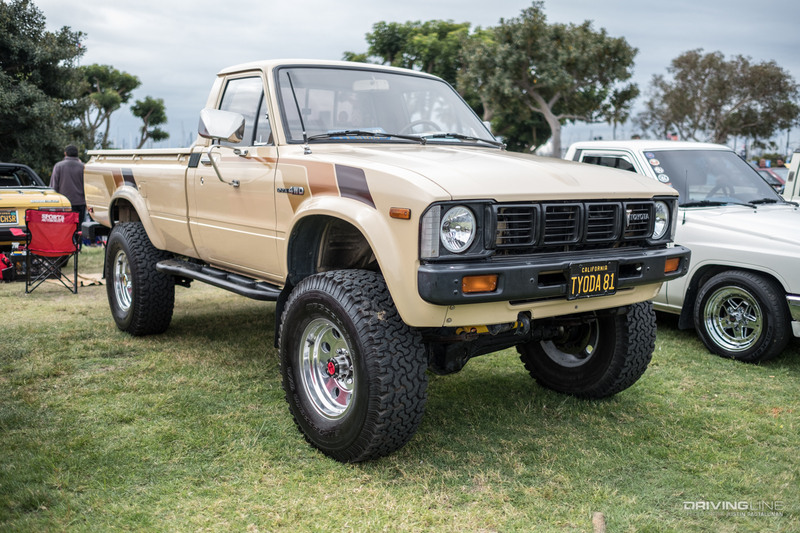 Back in the day, people would have to wait years, even decades, until Toyota unveiled a new generation of a favorite model. 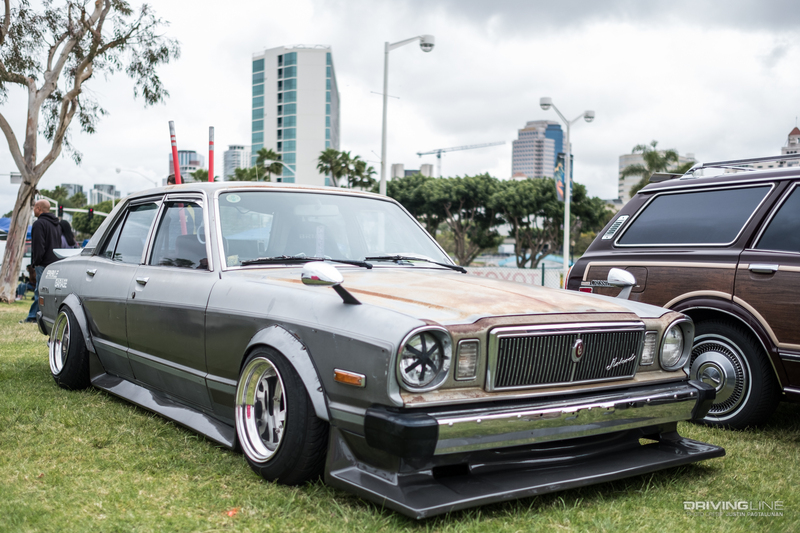 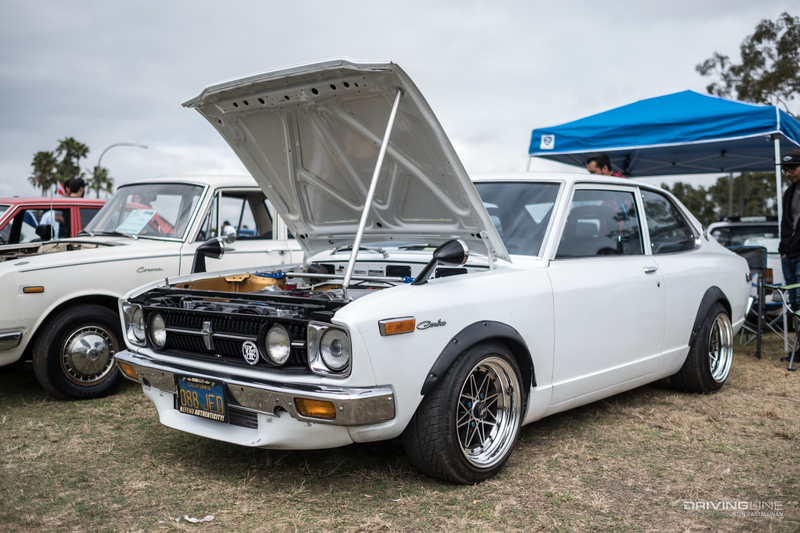 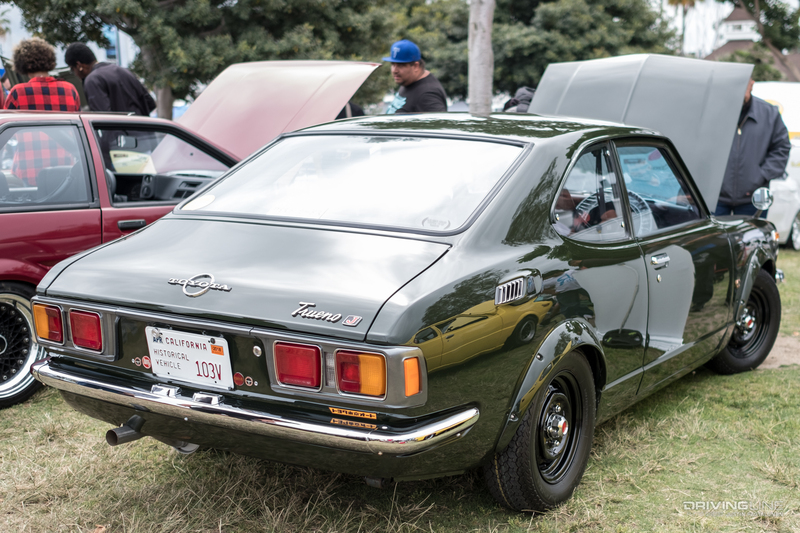 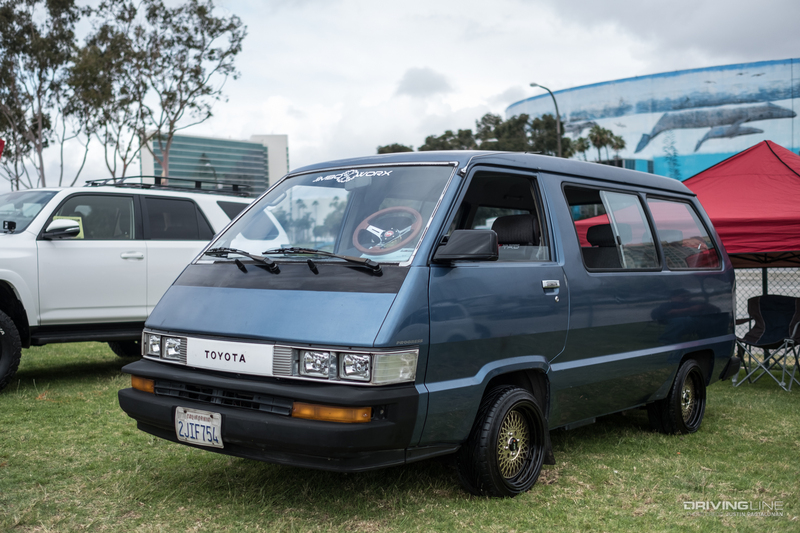 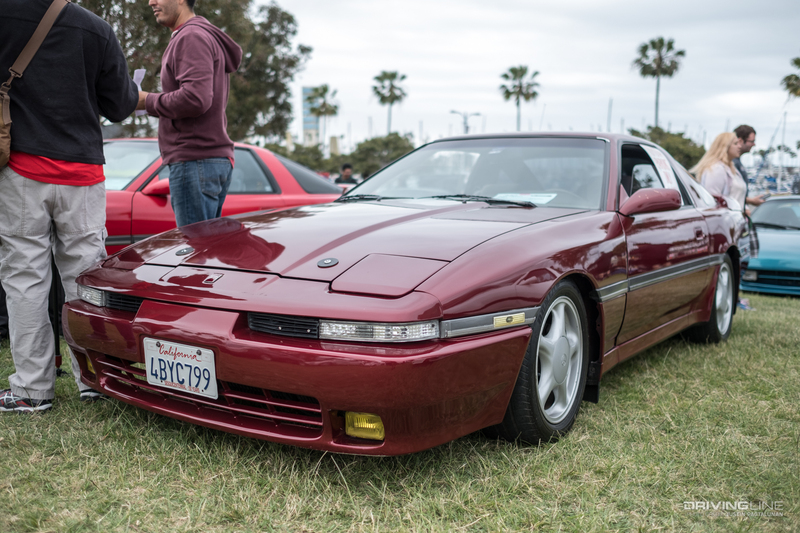 Toyotafest is like a time capsule where you can see history all in once place. 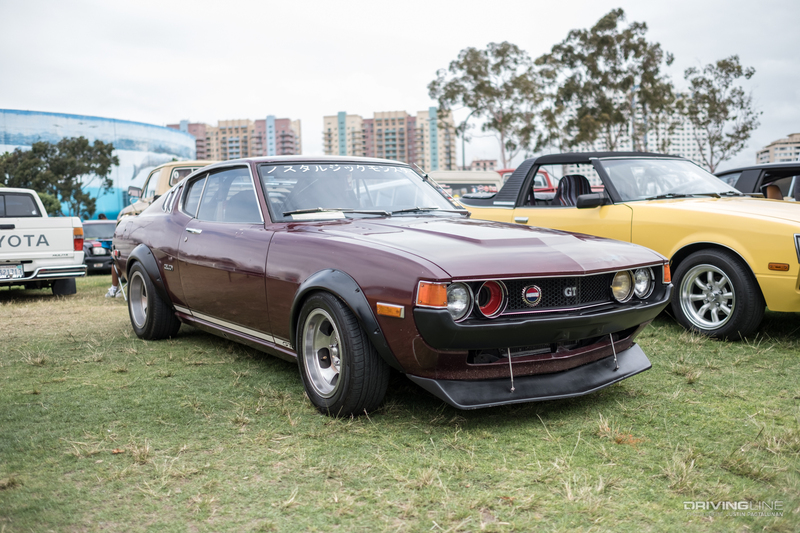 The only gap between generations here is a patch of grass. 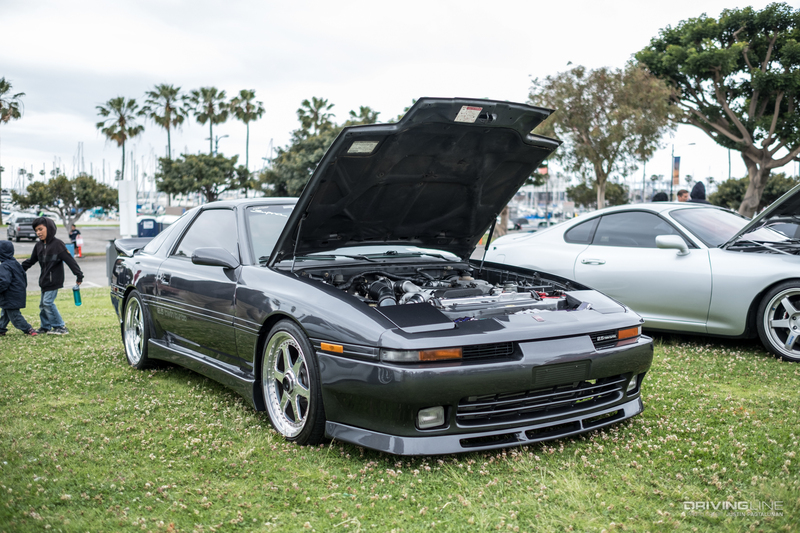 You get the '80s and '90s greatest hits all in once place, like the Supra MK3 and the Supra MK4. 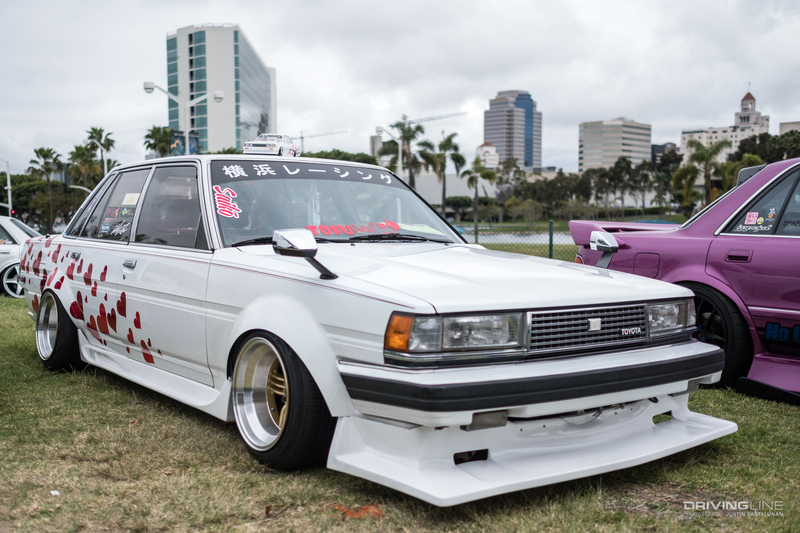 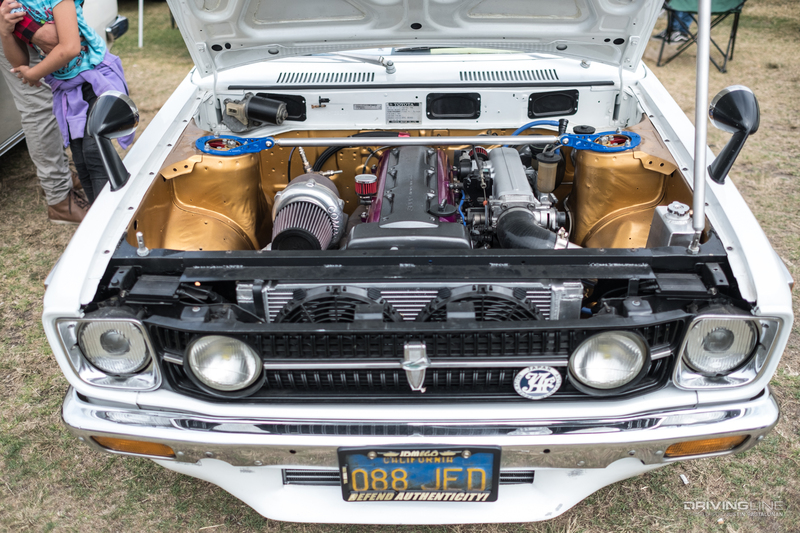 AE88, Trueno, Levin: all different names to talk about the old-school Corolla. 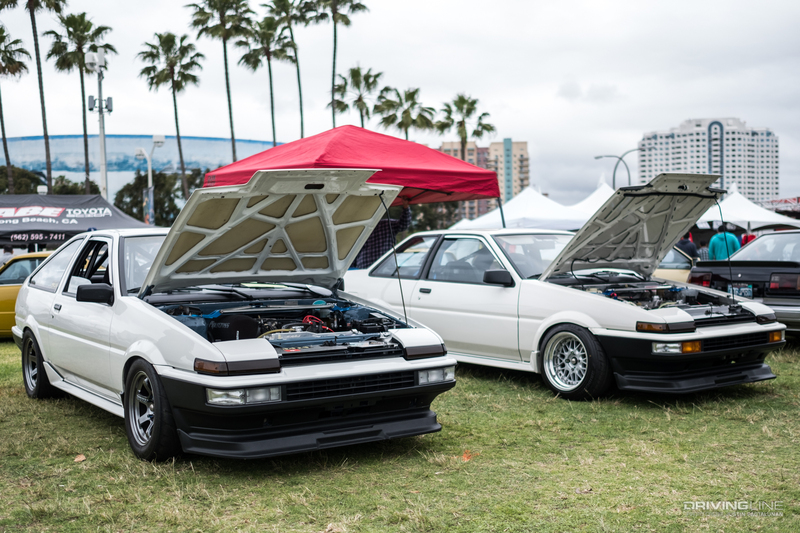 "AE86" and "TE27" are Corollas. 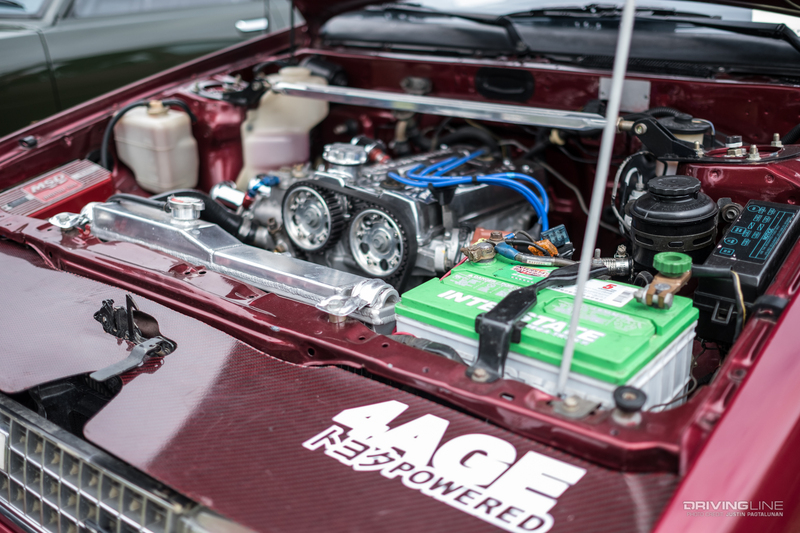 "4AG" and "2JZ" are engines. 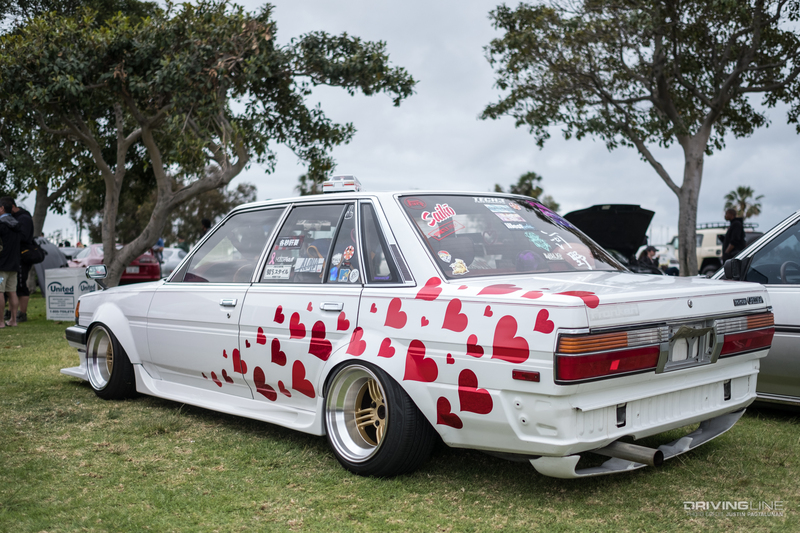 If you didn't know, now you do. 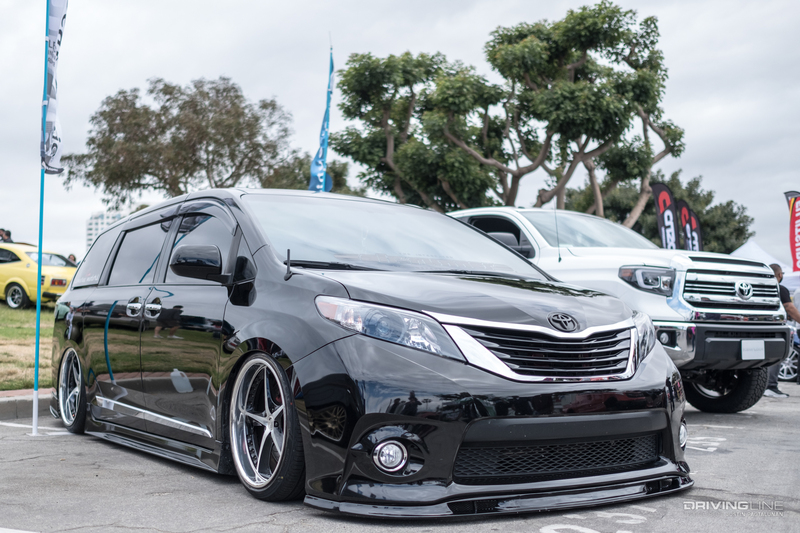 You say, "That's a Toyota?" 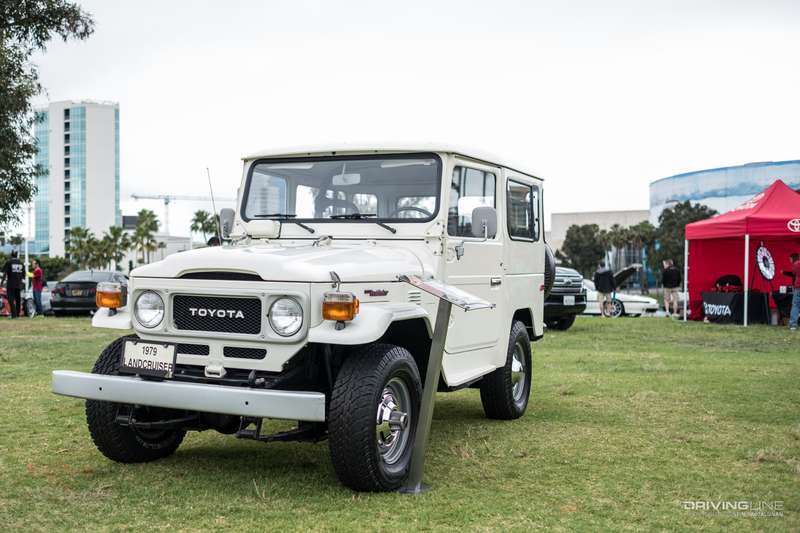 Toyota's heritage is so deep and rich that there are many vehicles that even the biggest enthusiasts may not recognize. 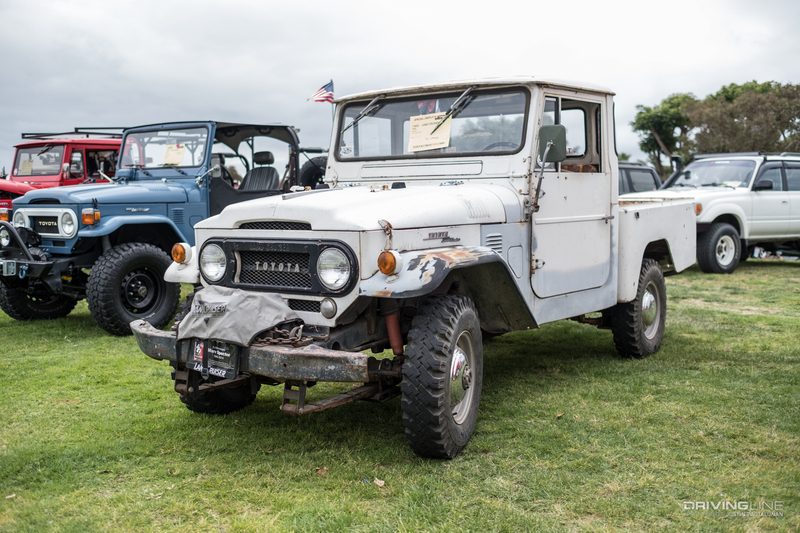 Don't let the Chevy emblem fool you; this truck might be powered by a Chevy engine, but it's still a vintage Toyota Land Cruiser. 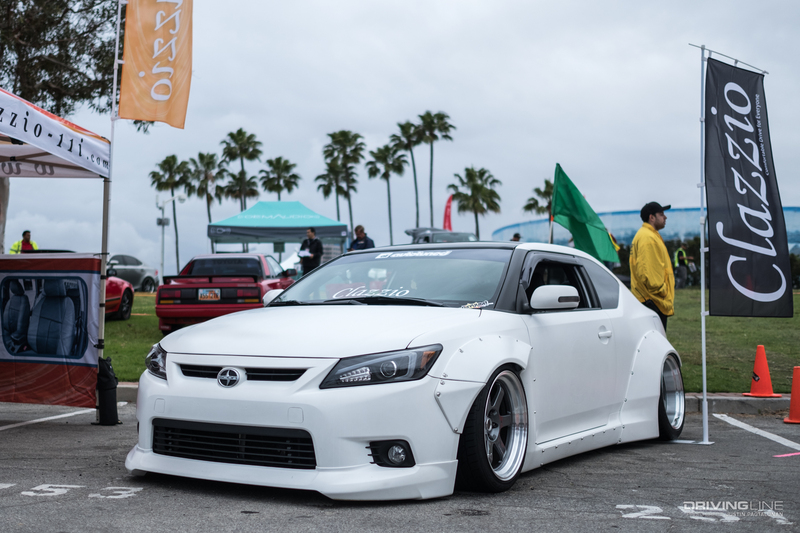 Gone, but not forgotten: The era of the Scion brand may have come to an end last year, but the Scion lifestyle is still alive, kicking and as wild as ever. 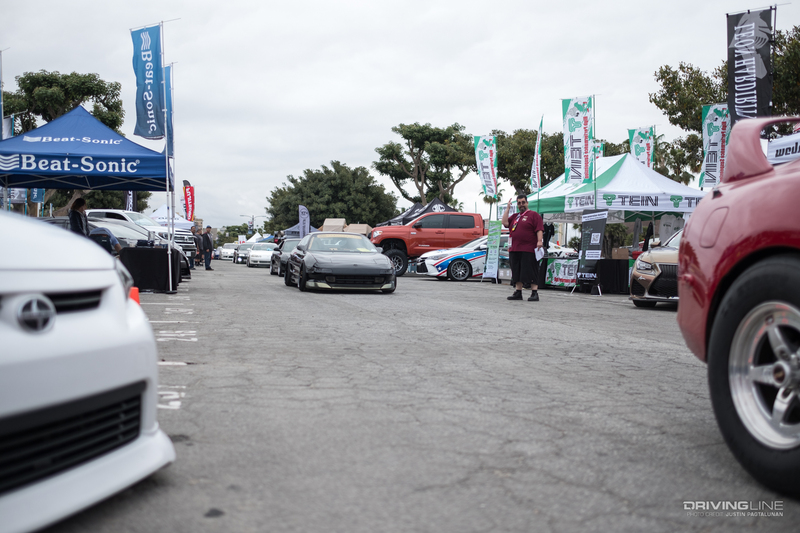 Everyone seemed to enjoy the new location, so expect this to be Toyotafest's new home for years to come! 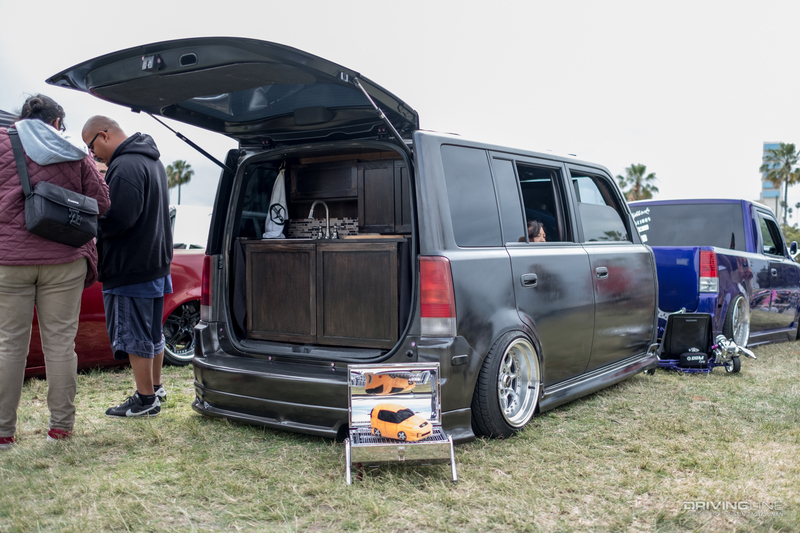 There were a lot more sights to be seen at the show! 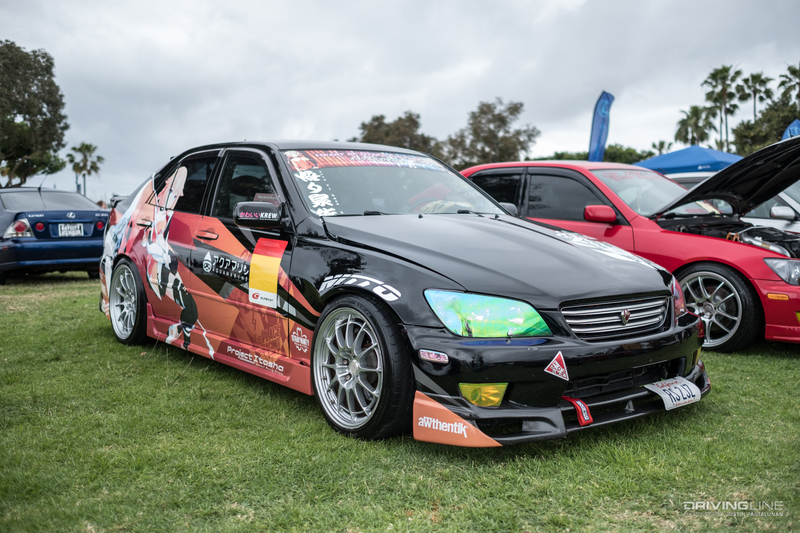 Check out the gallery below for more.